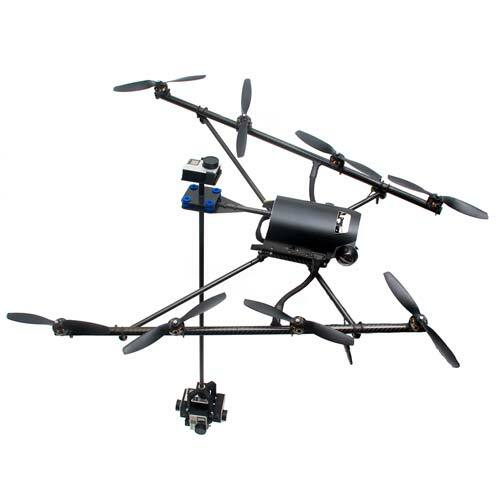 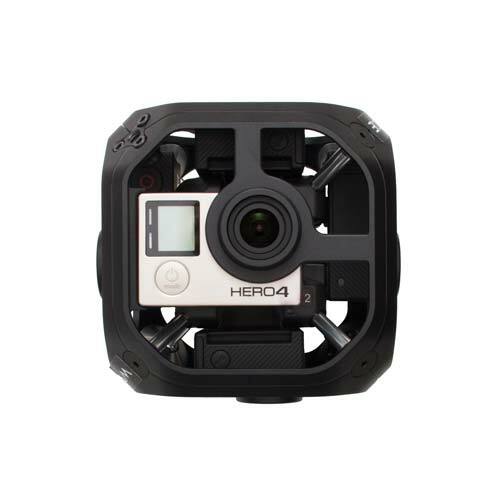 Get aerial shots in 360°- with an extra GoPro ontop so you dont have annoying rotor blades in your footage. 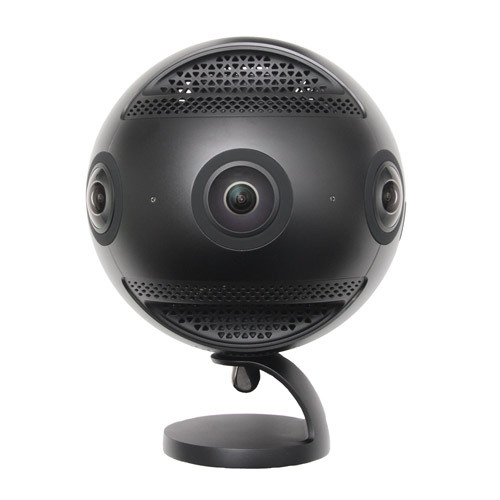 The smallest solution for setting up the OZO and having a live-preview. 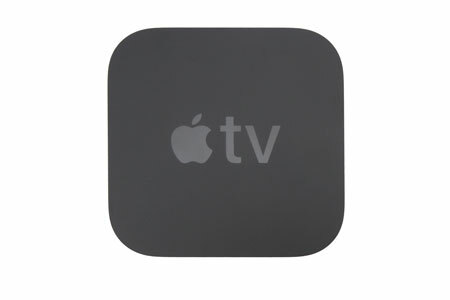 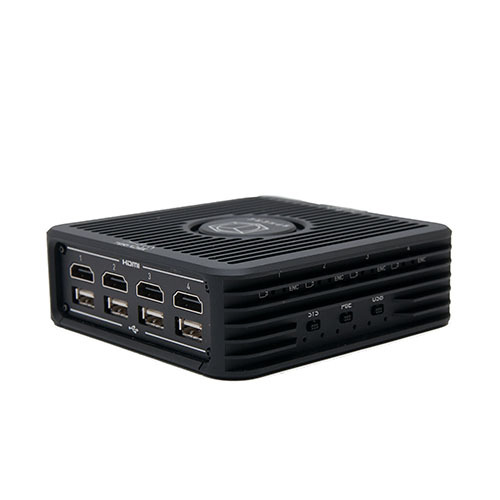 Perfect for remote areas with no power. 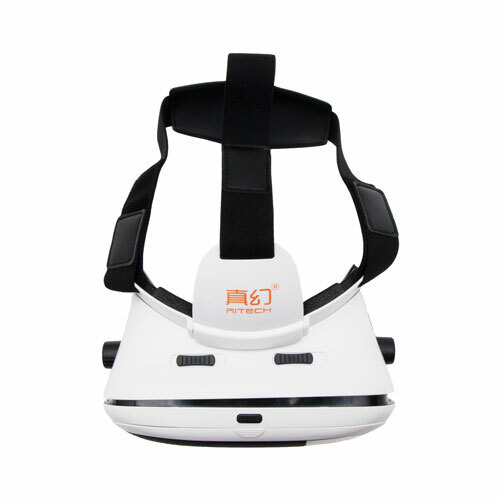 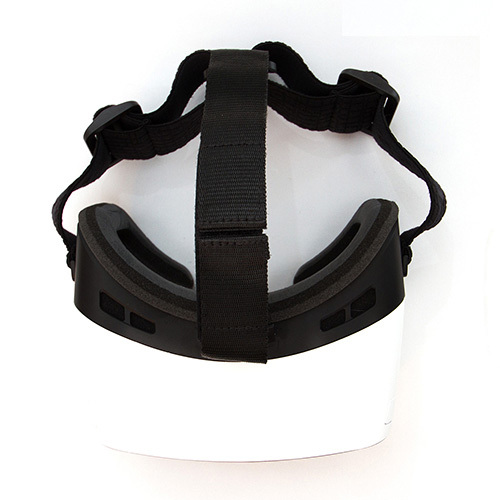 The best solution to immerse yourself into the virtual reality. 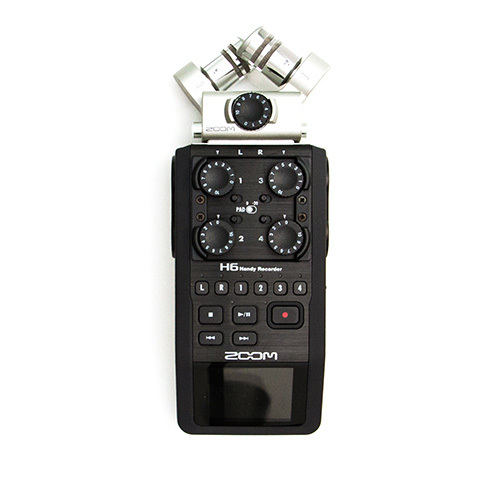 Zoom's field recorder which can record up to 10 tracks simultaneously. 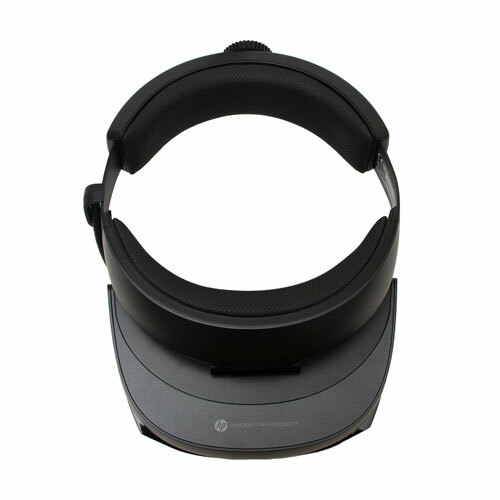 So it's perfect for the Sennheiser AmbeoVR. 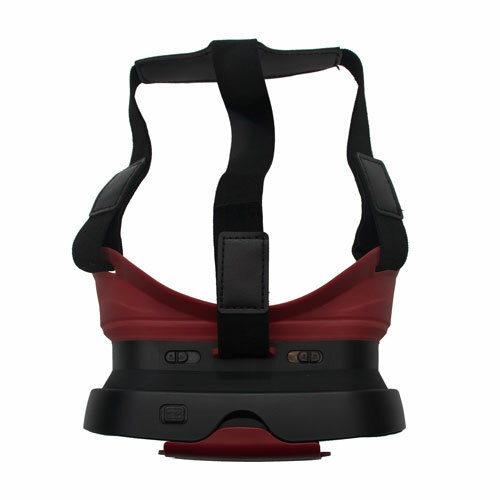 The newest invention in gaming guarantees an exceptionally intense VR experience. 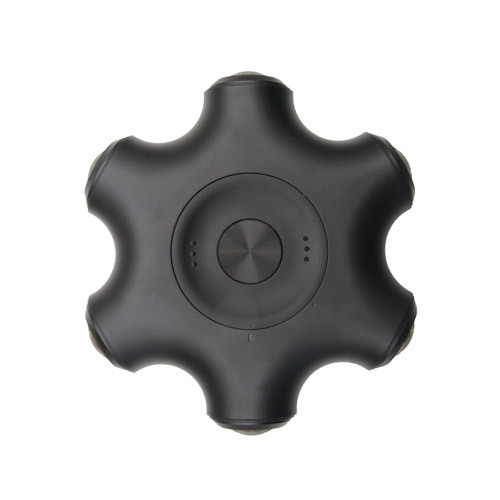 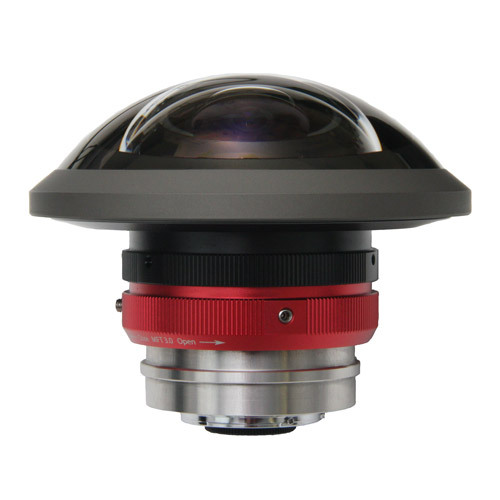 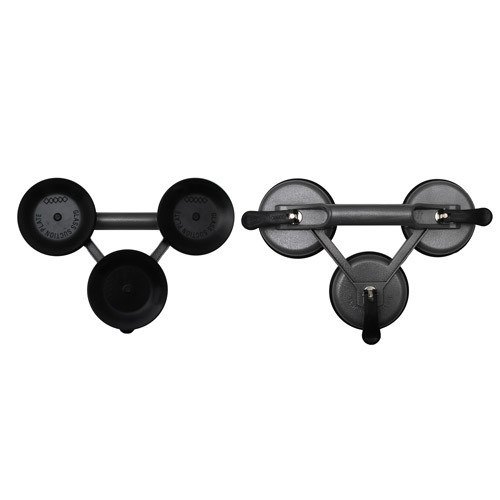 Ten 36° mirror segments equipped with a HD camera each can capture footage to up to 10000x2000pixels seamlessly. 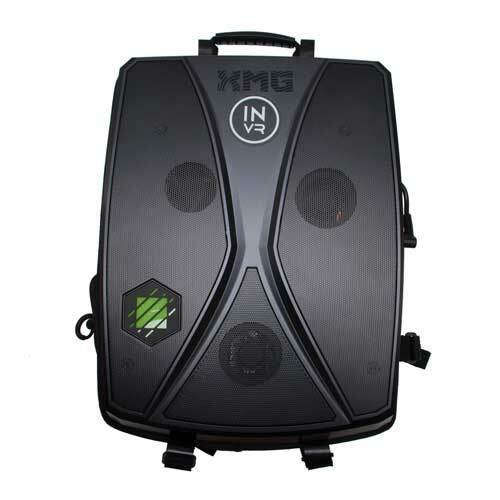 A highend gaming computer running with batteries in the shape of a backpack - you dont‘t have to worry about stepping over your cables anymore. 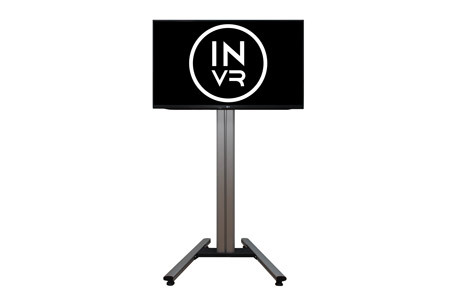 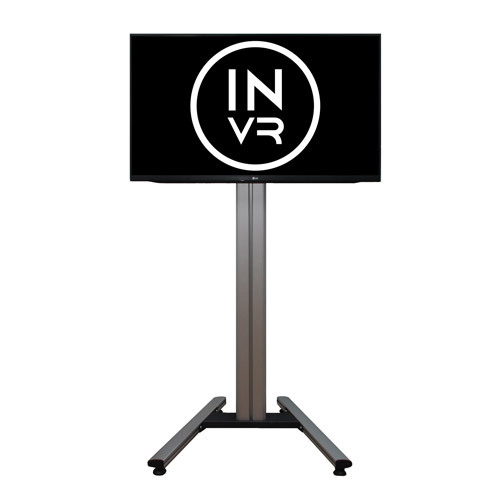 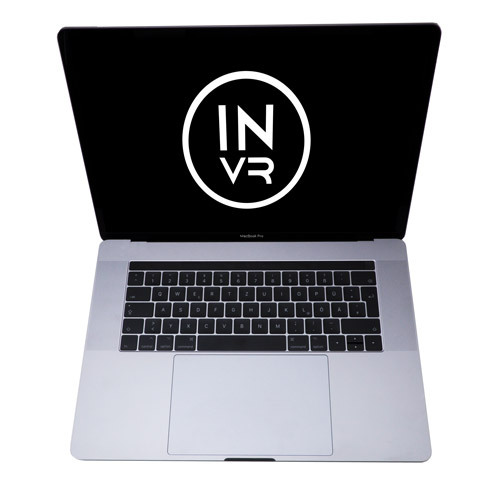 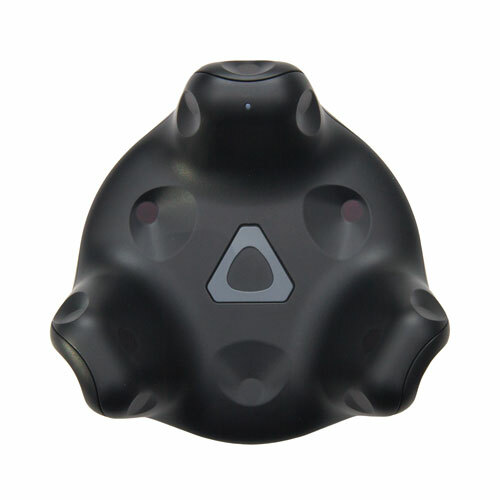 Ultra portable VR Microphone which can capture ambisonic, binaural and stereo sound with a built in recorder. 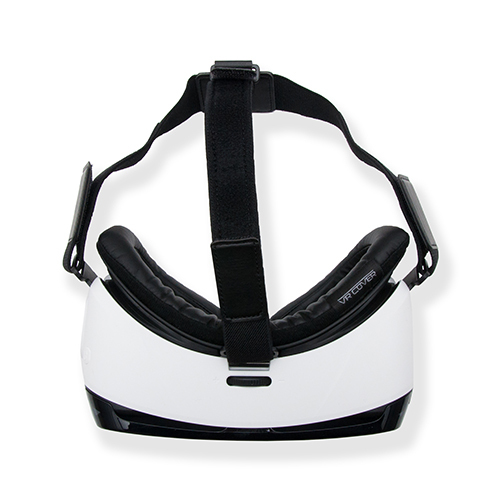 The most popular VR headset. 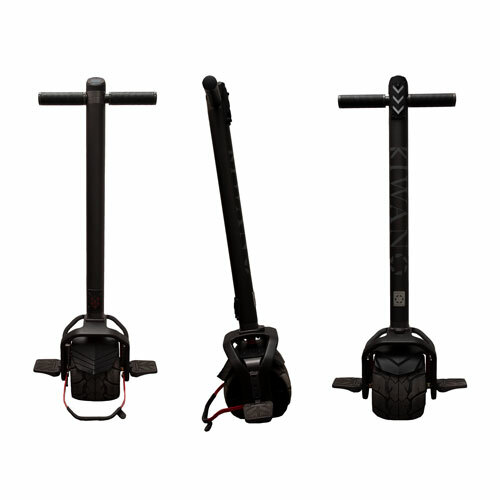 Easy to use and absolutely mobile. 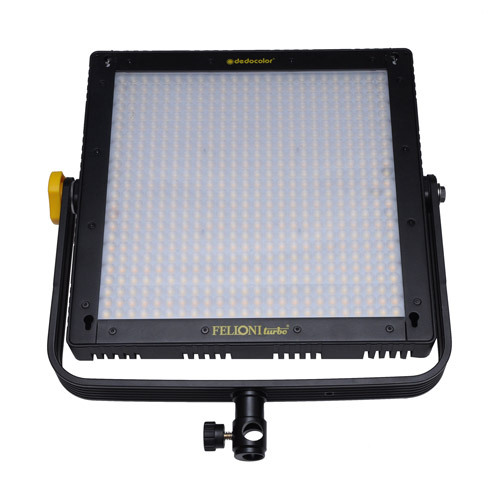 Dimmable LED light panel with tungsten light aswell as daylight that can also be powered by V-Mount. 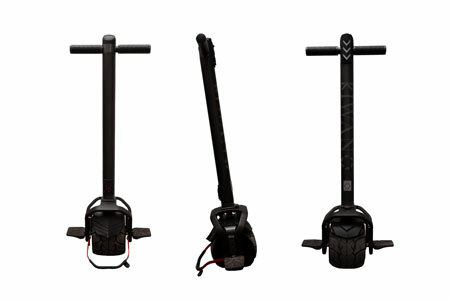 An electric scooter with a GoPro mount, a range of 25km and a maximum speed of up to 25kmh that can be used as a dolly. 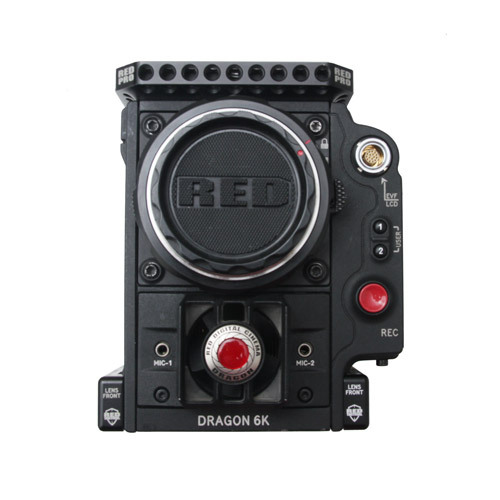 Digital Cinema camera that captures up to 75fps at 6K or 240fps at 2K with a dynamic range of 16.5 stops. 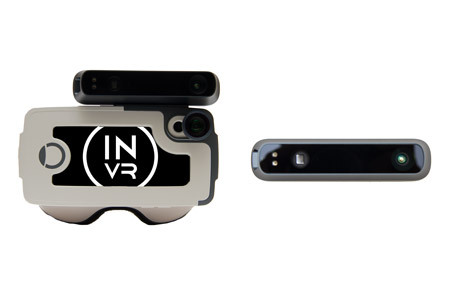 Easily immerse yourself into the mixed reality with this iPhone powered headset. 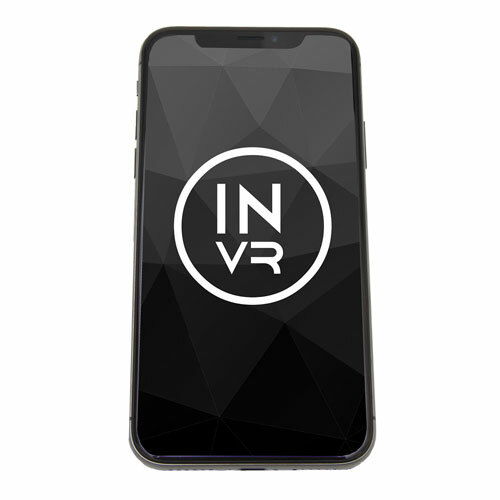 Superb performance with our iPhone X. 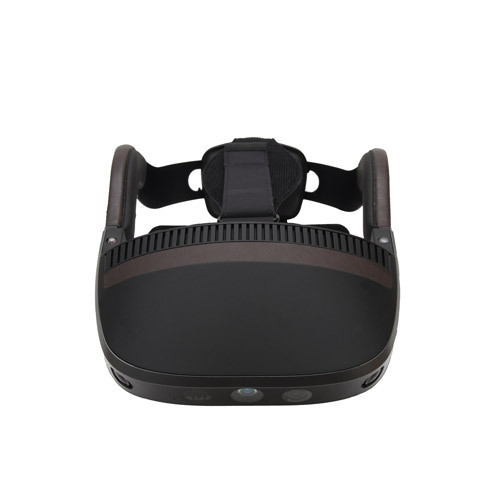 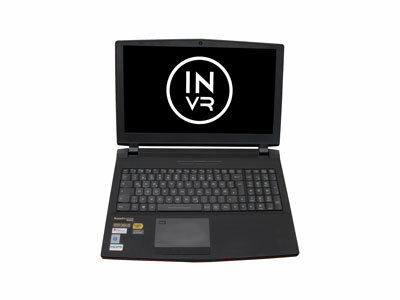 Easy way to capture VR180 with stereoscopic 3D. 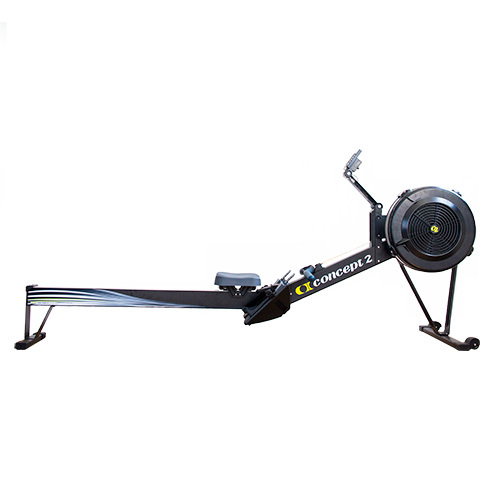 The Concept2 Indoor Rower Model D is a studio-grade rower designed for longevity and durability. 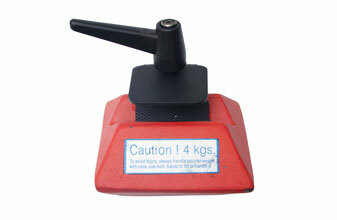 Even professional rowers will not find much better on the market. 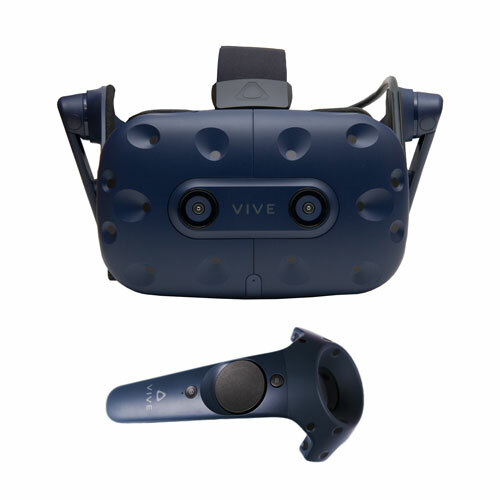 Enjoy the whole VR-Rowing Experience in combination with a HTC VIVE HMD on different stages of effort and in all possible places you can imagine. 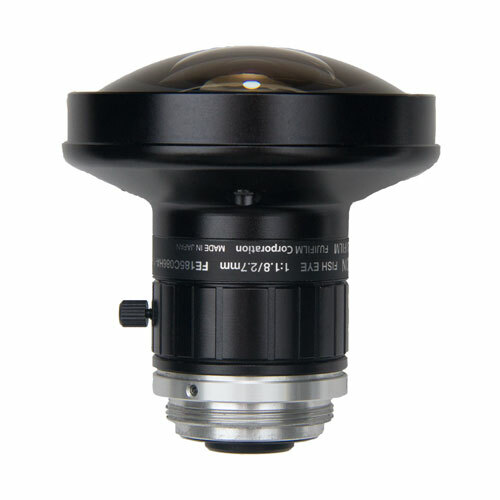 A super wide angle lens with fisheye effect for MFT-Mount. 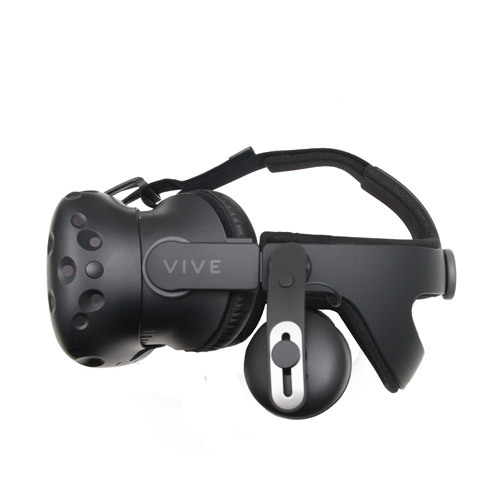 Connect the adapter to your VIVE to go fully wireless. 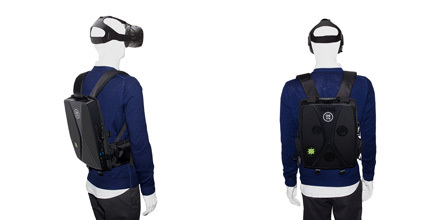 No hassle with cables aswell as a heavy backpack anymore. 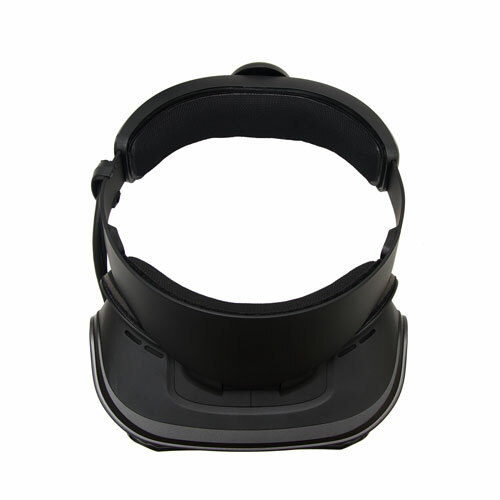 Power your Nokia OZO with a V-Mount. 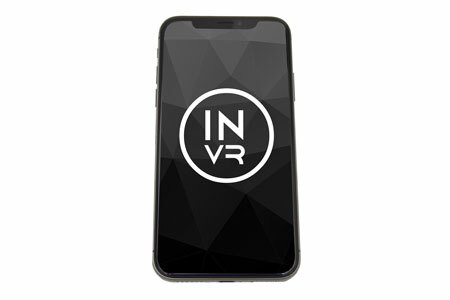 Apple's most powerful and revolutionizing smartphone. 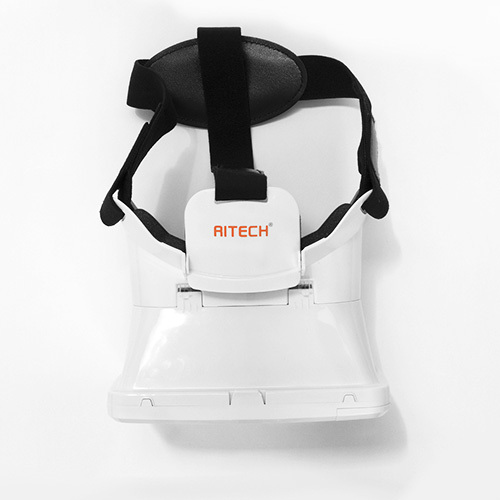 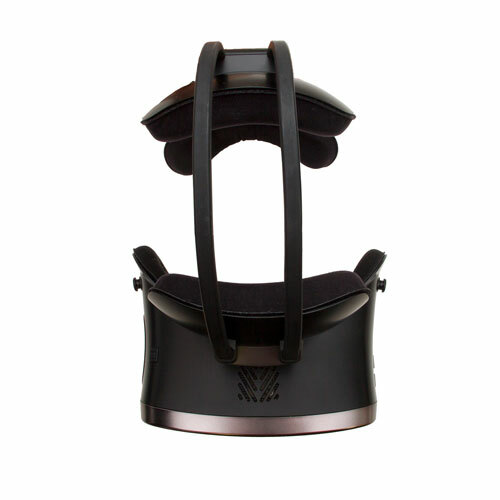 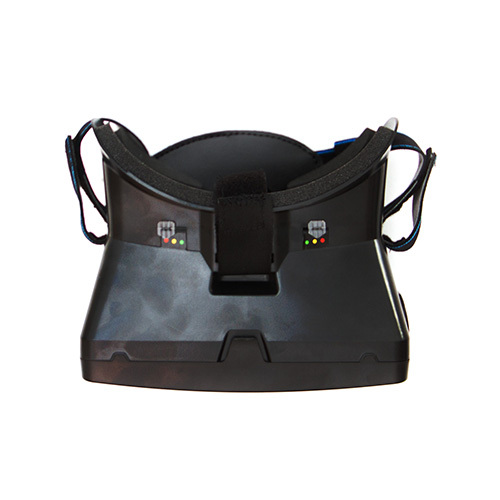 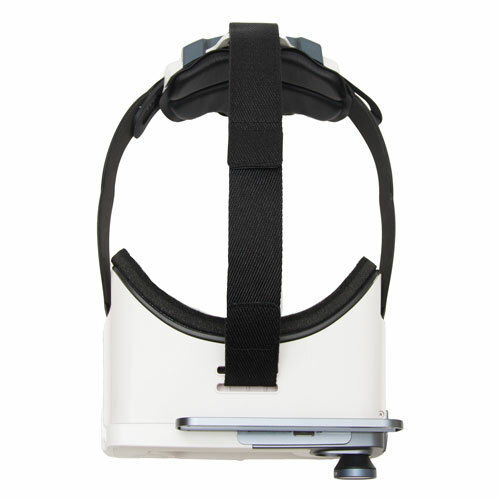 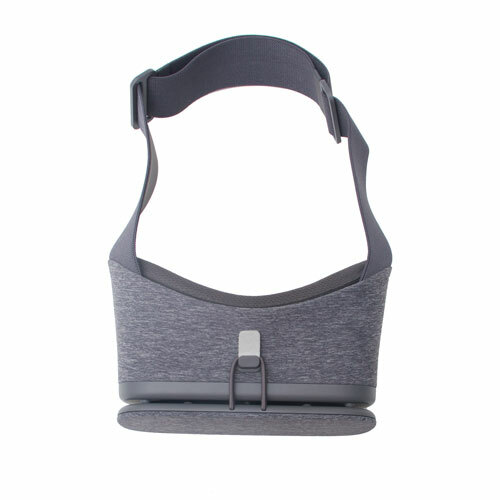 Works perfectly with our Occipital Bridge. 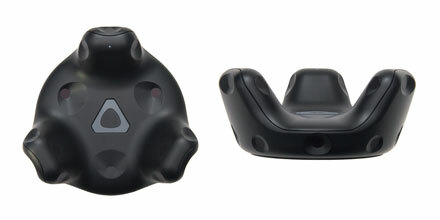 The new flagship HMD from HTC featuring a higher resolution, built-in audio and it also works in a bigger tracking area. 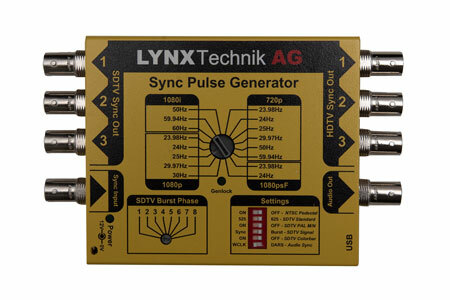 With new sensors, controllers and Link Box. 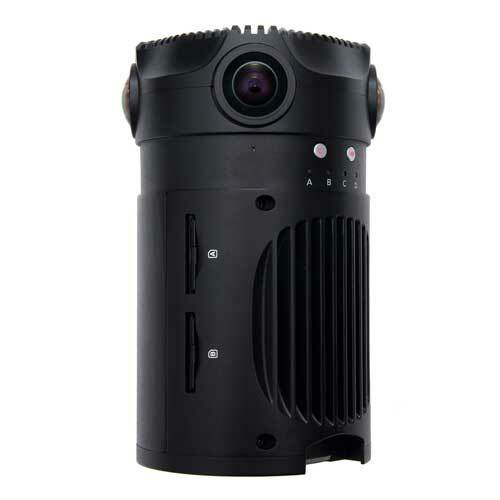 Highend all in one camera solution able to shoot 8K/30fps or 6K/30fps in 3D. 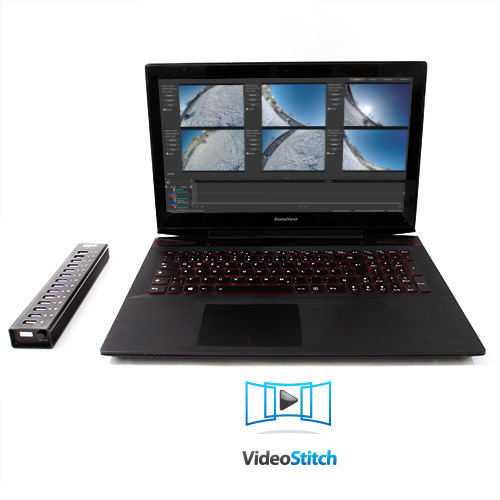 Nokia’s easy to use stitching software can render preview videos to high quality stitched videos and single fisheye frames. 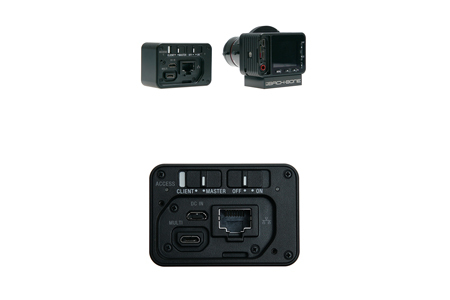 Fully modified Sony RX0 camera. 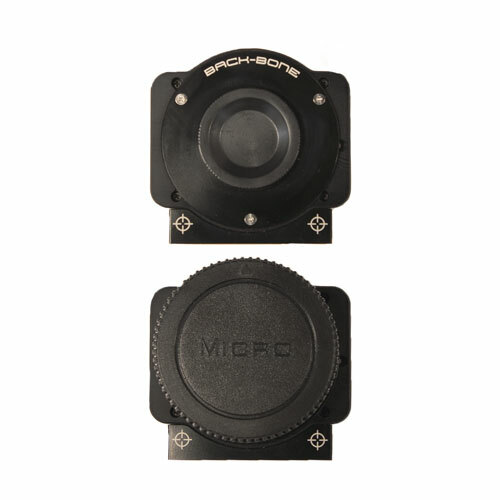 This camera is configured with a passive micro four thirds (MFT) mount* and can be re-configured to C-Mount at any time with the included mounting ring. 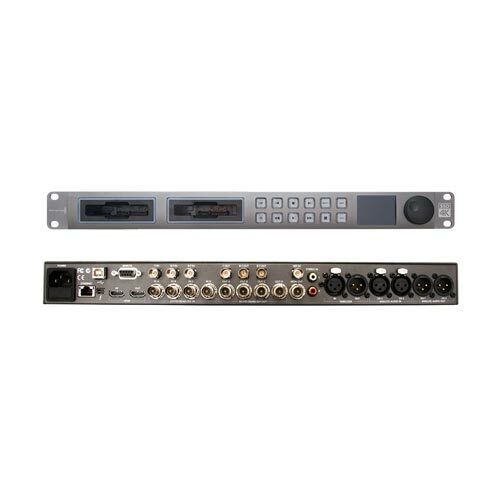 Control Box used for multi RX0 setups (volumetric capturing, 3D, ...) to synchronize settings, capturing and controlling. 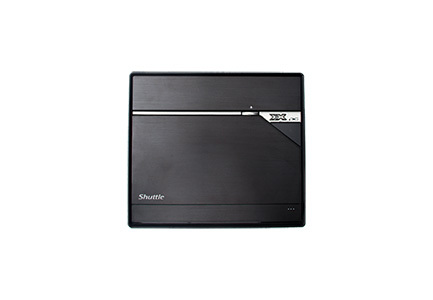 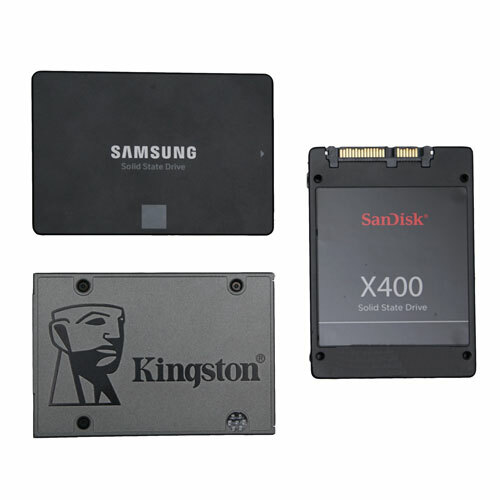 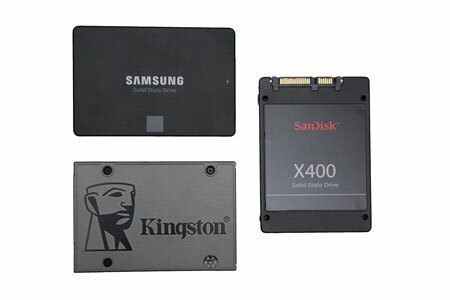 Choose from a vast array of SSD's from different brands with different sizes. 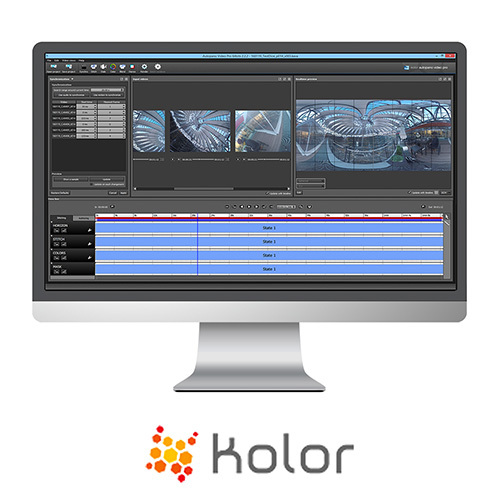 A fast and reliable option for your workflow. 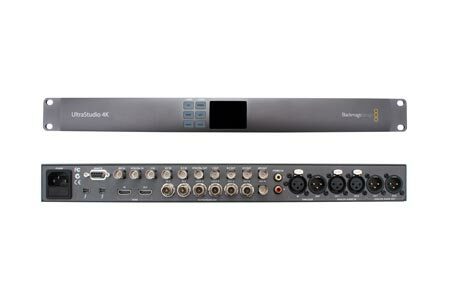 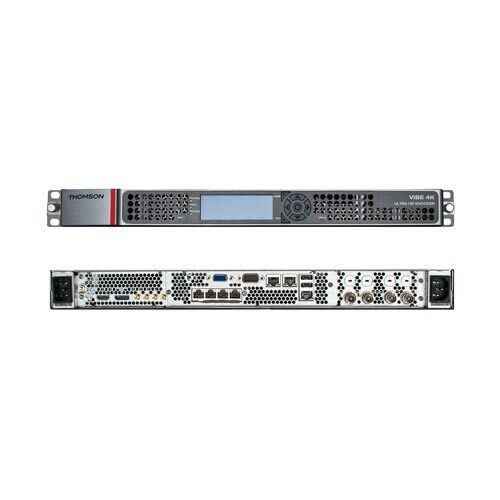 Embed 4 channels of analog audio or 8 channels of AES/EBU digital audio into any SDI video connection. 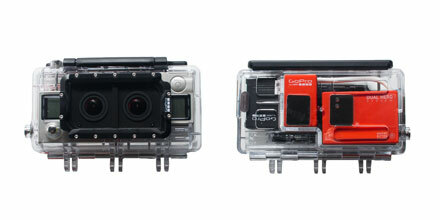 Ultra compact and waterproof camera that captures up to 5.7K/30fps. 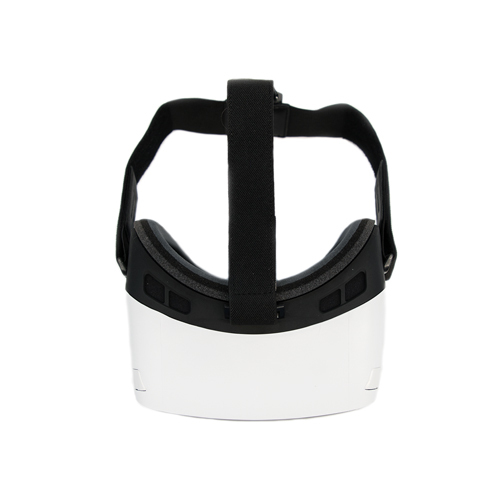 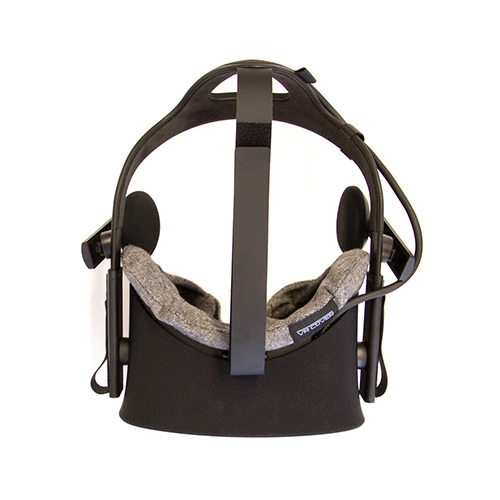 Mount the Tracker to any object to immerse it into VR. 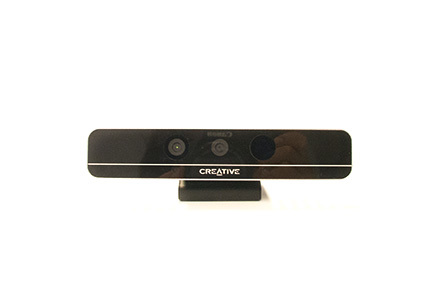 Attached to a camera you can create mixed reality videos. 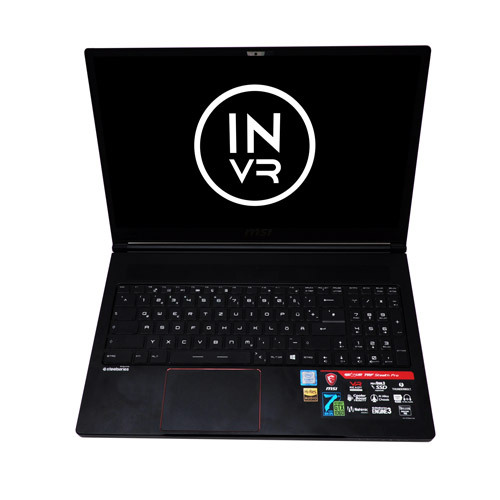 Powerful highend laptop featuring an Intel i7 aswell as a GTX1070 and 16GB of RAM. 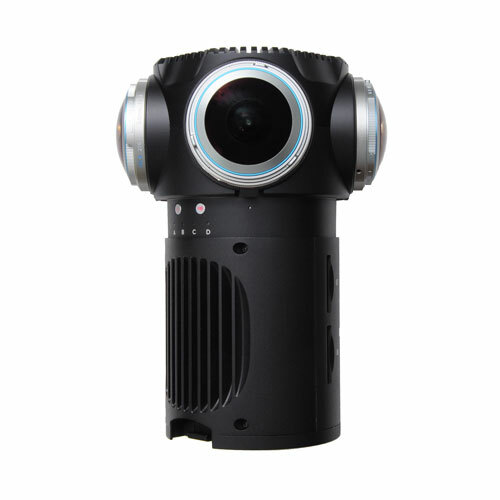 All-in-one VR camera solution with 4K/60fps and 6K/30fps with live-stitching option when connected to the Teradek Sphere. 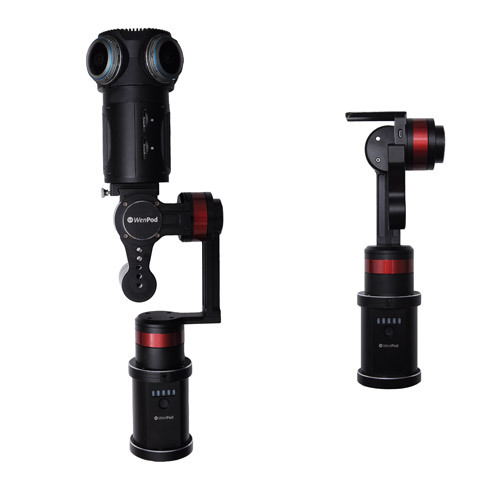 Stabilize your footage with a gimbal specialized for VR Cameras. 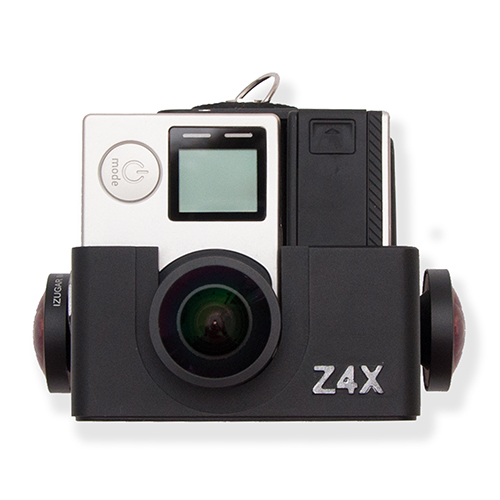 Ultra compact camera capable of 4K recording. 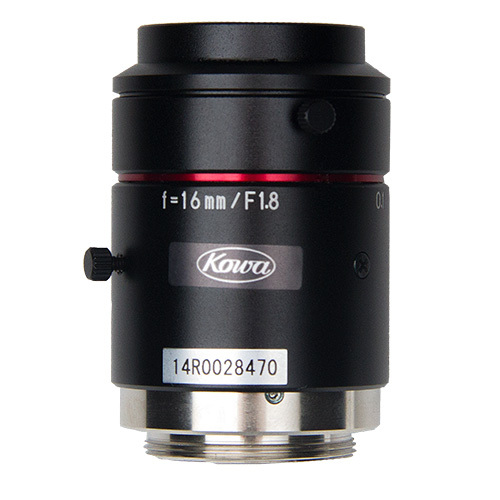 A mid-telephoto macro lens with Image Stabilization and an aperture of f2.8 that can handle life-size close ups. 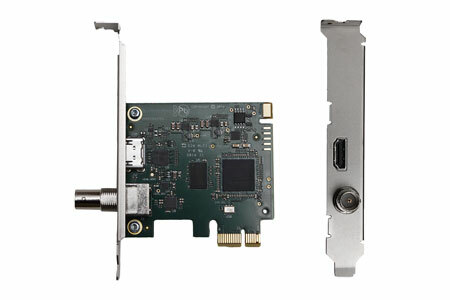 Nokia OZOs 500GB SSD which can capture 50 minutes of continuous recording. 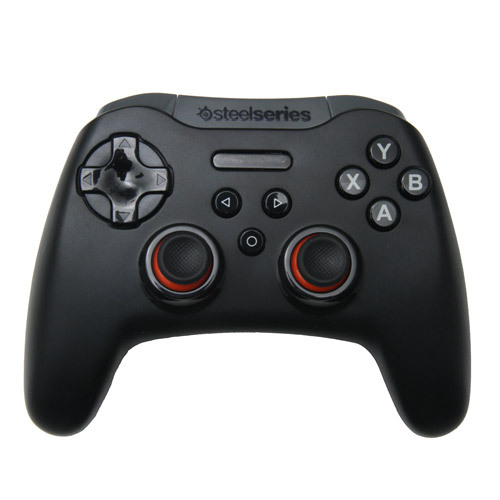 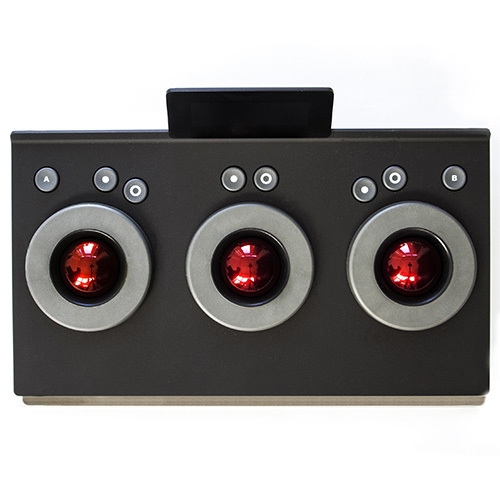 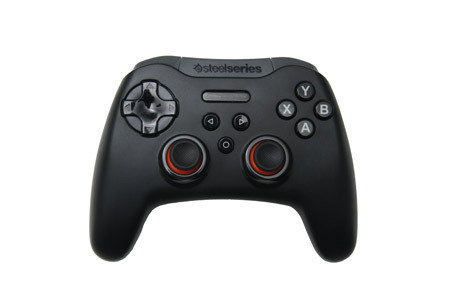 The Carbonite Black 2S, is a 24 button 2 ME panel for Carbonite incorporating individual ME Effects Memory keypads. 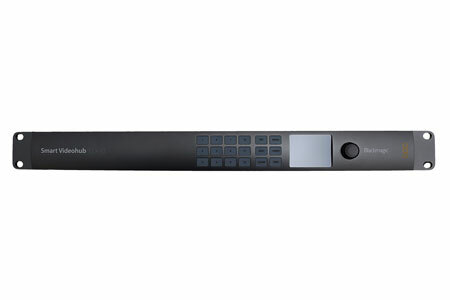 Carbonite Black Plus takes the most powerful Carbonite Black frame ever and adds single link 12G connectivity for greater flexibility during UHD productions. 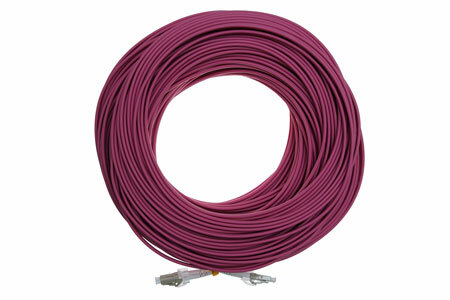 Use it with our fiber cables for 6G data rates on long distance without quality loss. 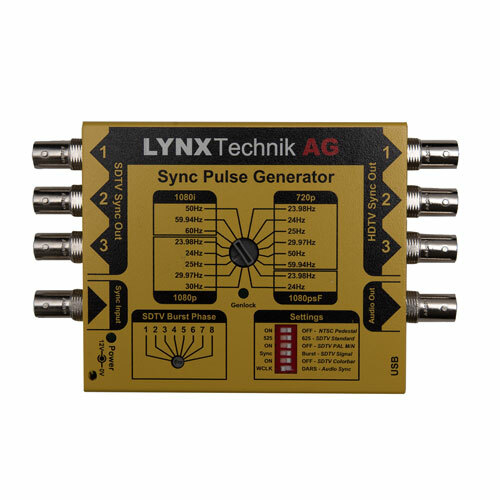 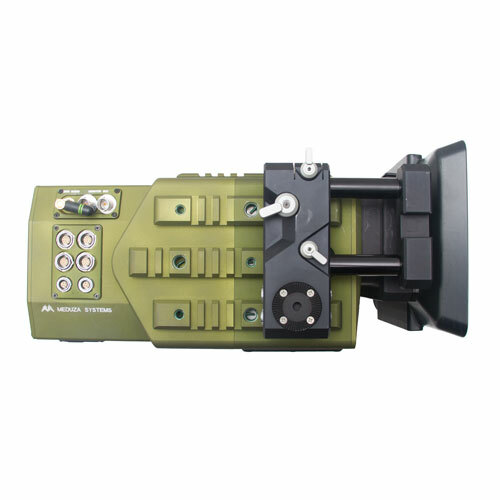 Produces synchronization signals with a high level of stability and accuracy to provide a master timing source. 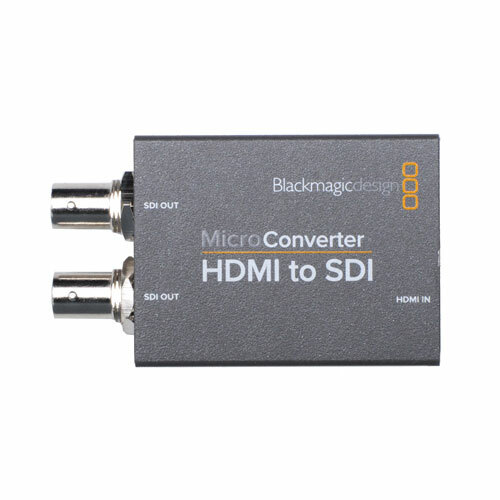 Ingest SDI and HDMI signals into your PC for eg. 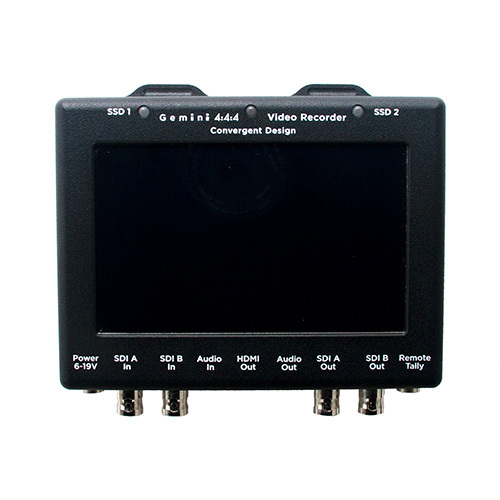 capturing MR Videos or HQ video streams. 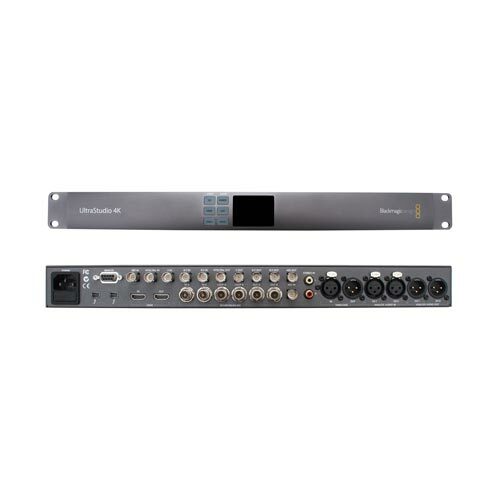 2* USB Audio interface with 2 D-PRE and 192kHZ support. 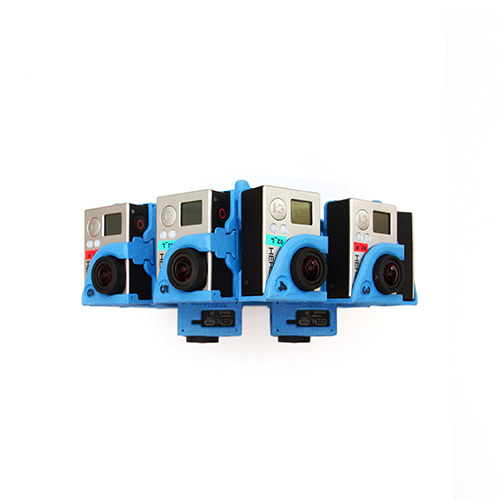 GoPro rig to film in 7 directions stereoscopically with 14 GoPros. 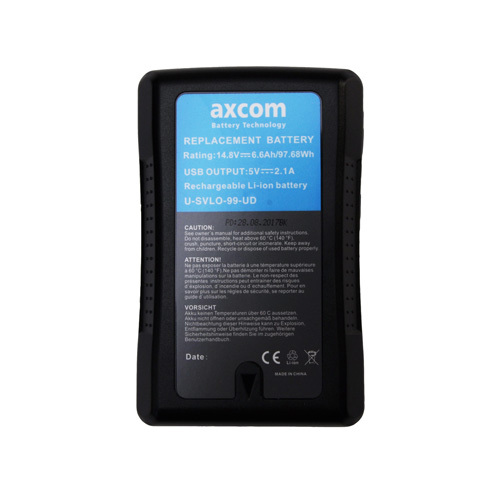 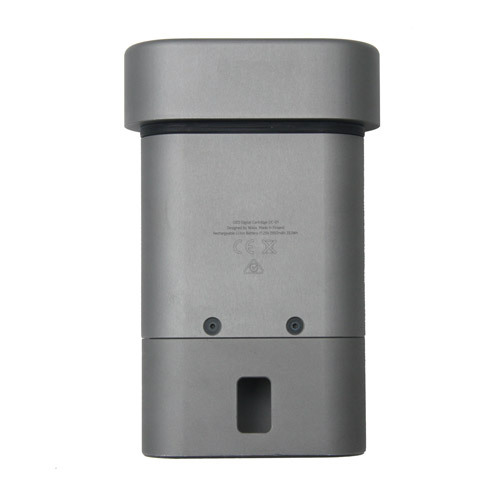 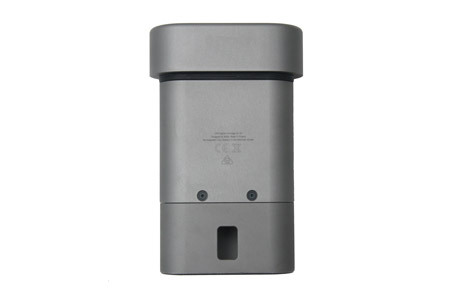 V-Mount battery with 14.8V/ 6.6Ah/ 97.68Wh and an USB Output of 5V/ 2.1A. 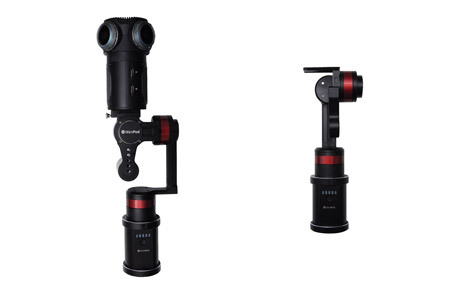 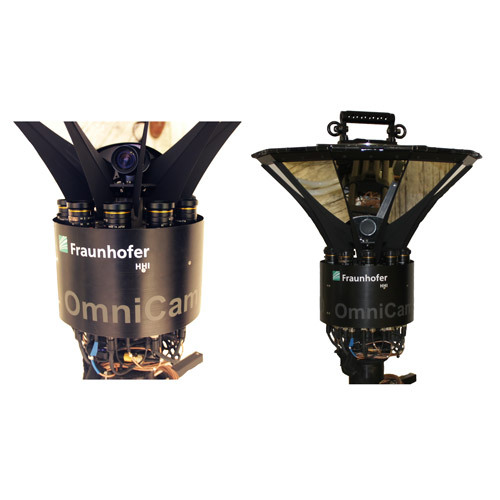 Can be combined with our Mantis 360/ OZO/ Sony Alpha 7SII/ ZCam S1 (Pro). 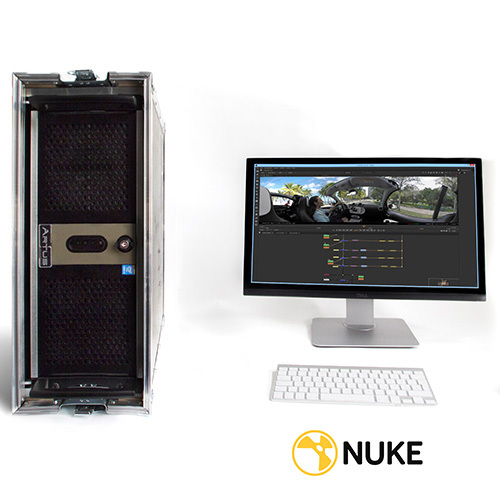 Get smooth moving 360° footage in a secure way- also less hassle for the postproduction. 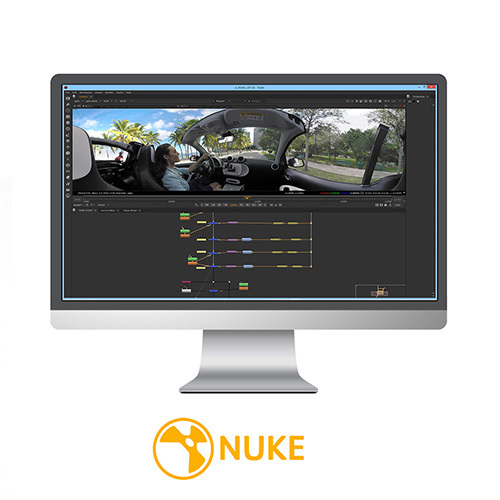 We provide workstations including NUKE and additional software (e.g. 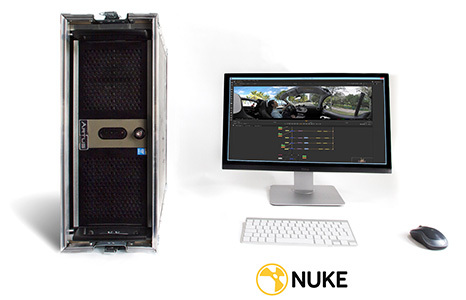 Adobe CC2016) as single machines or clusters in server racks to increase creative work and lower rendering time. 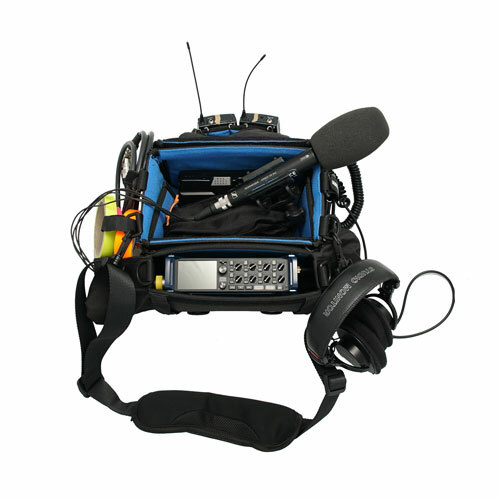 Feel free to ask for operators as well, we can provide skilled staff at any time! 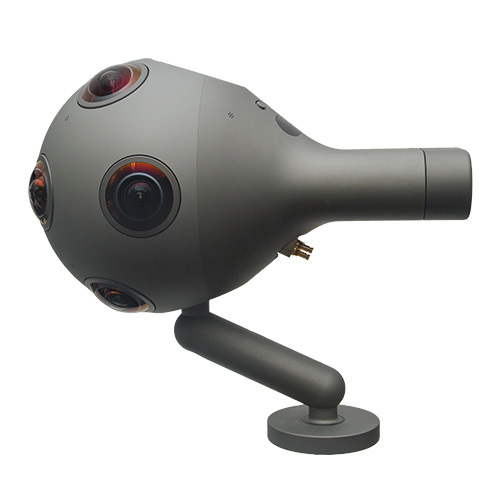 sinaCAM customized in a 360° rig for high quality experiences. 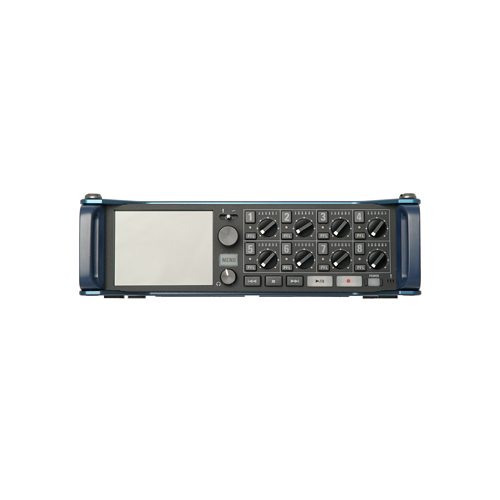 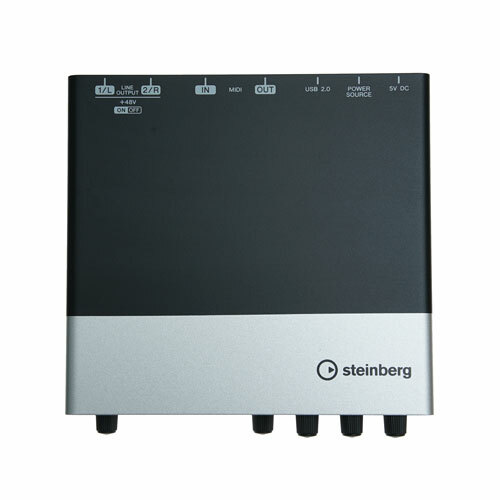 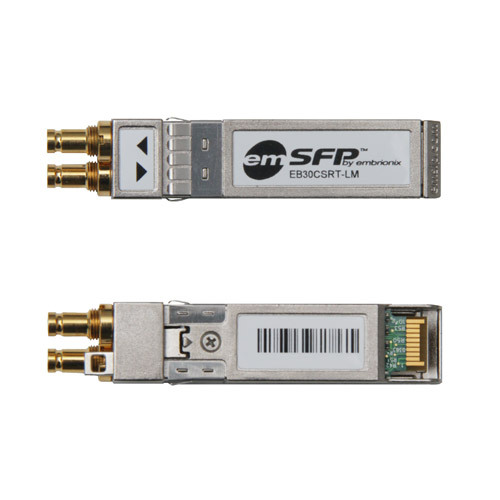 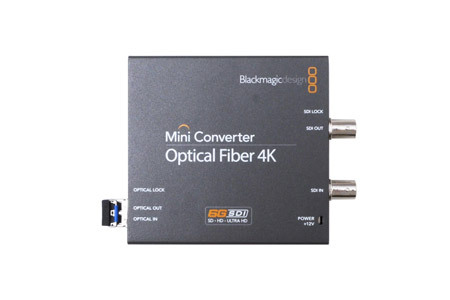 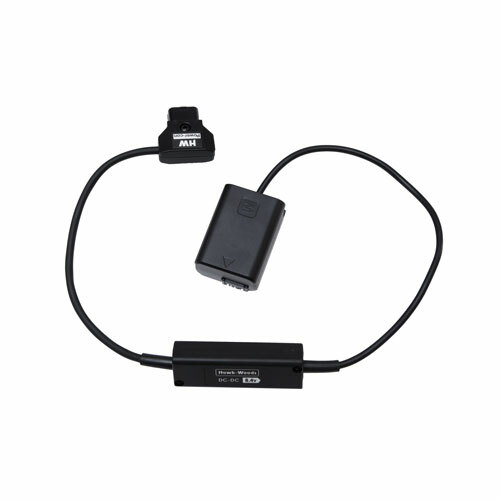 Converts 6G-SDI to Optical Fiber and vice versa simultaneously. 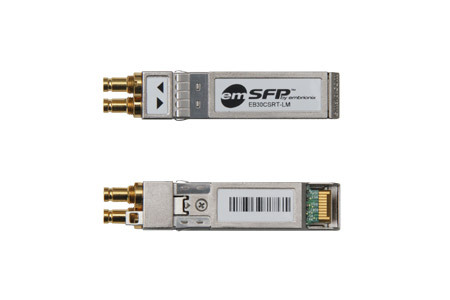 Convert 1000BASE-SX/LX fiber to 10/100/1000Base-T copper media or vice versa. 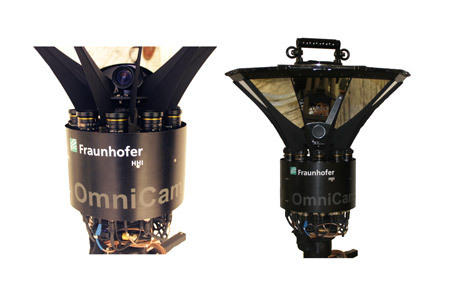 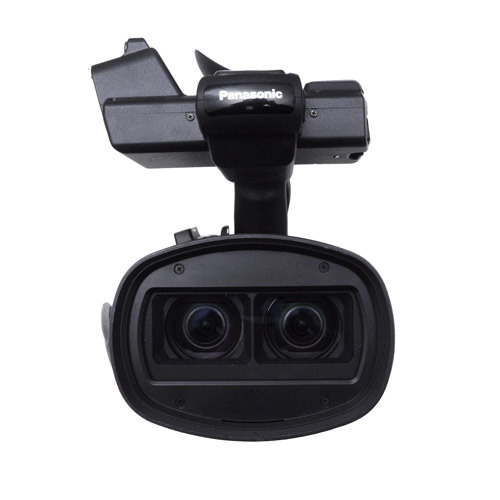 180° of 3D Video with up to 4K/30fps per eye. 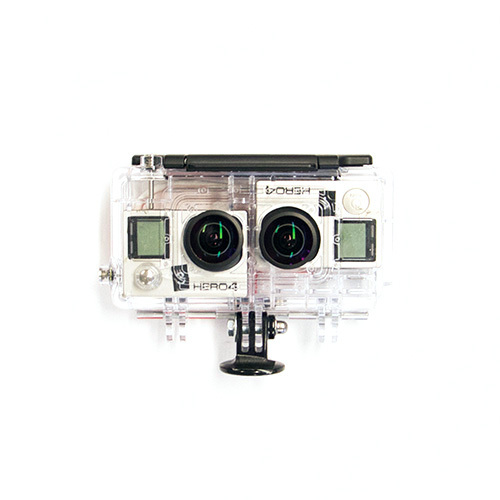 Get multiple to cover the full sphere. 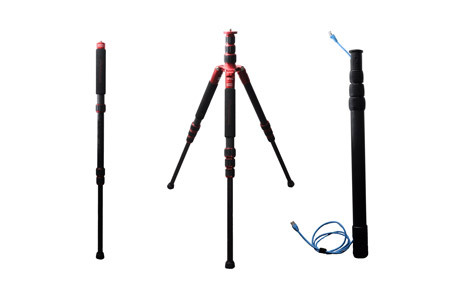 Very small and handy tabletop tripod for smaller cameras. 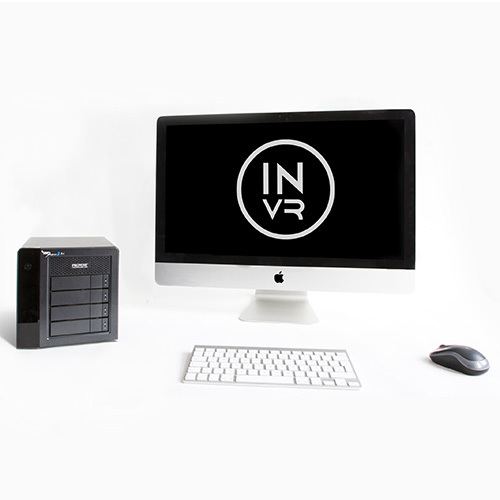 This workstation comes with thunderbolt RAIDs and USB 3.0 hubs attached: download your SD cards fast and store data fast and safe. 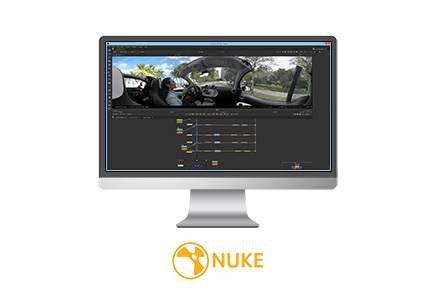 This package includes various software such as 360CamMan, Adobe CC2016 and much more on request. 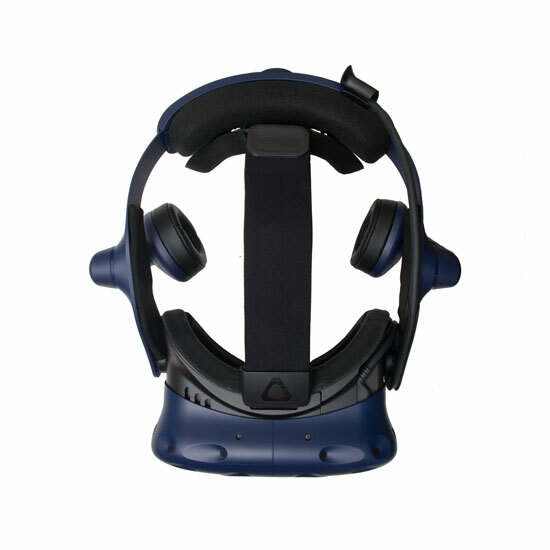 State of the art binaural sound recording can be done to add another level of immersion to your 360° videos and VR experiences. 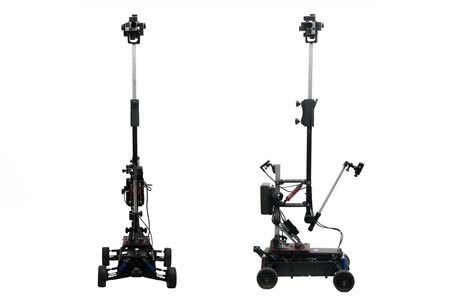 Rig cameras, light and other stuff onto smooth surfaces. 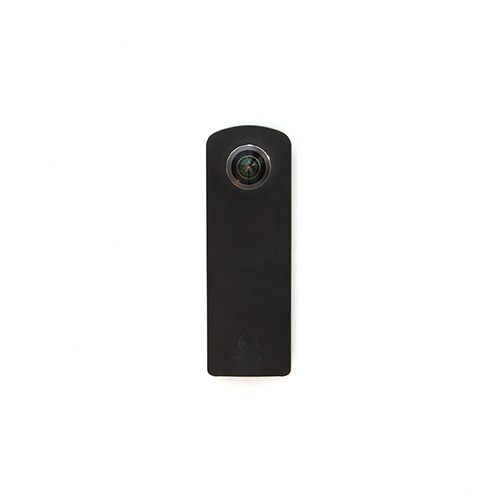 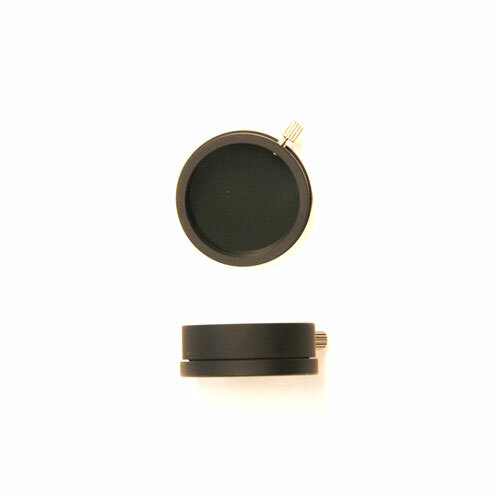 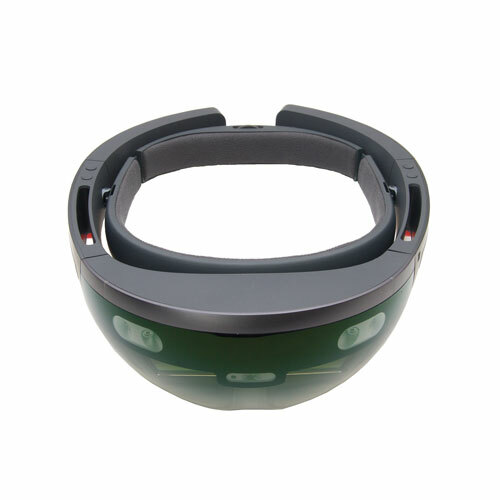 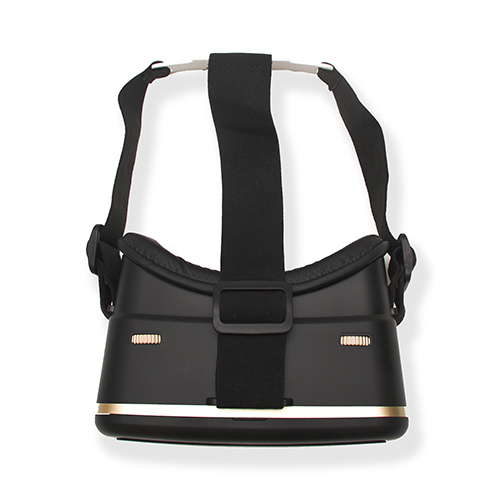 Attach it to a lens to capture a panorama via the mirror inside. 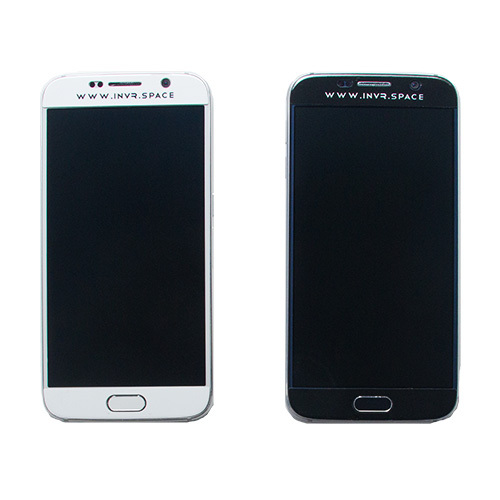 Samsung’s newest flagship smartphone, even more powerful than its predecessors. 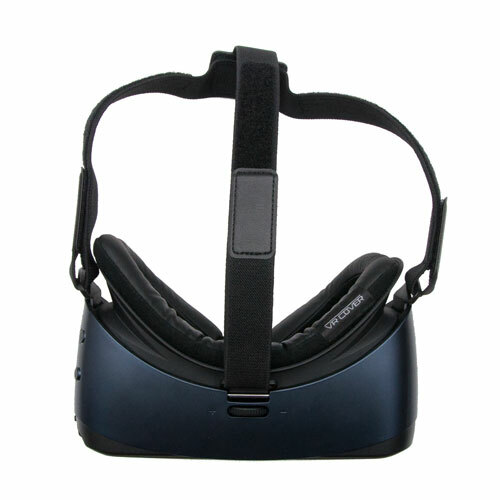 The Oculus CV1 is the next generation of VR headsets. 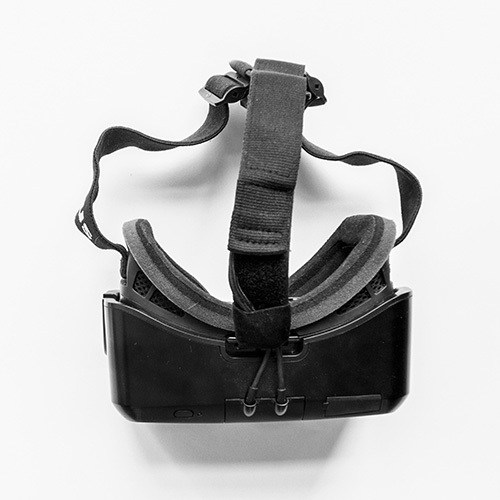 Whether you’re stepping into your favorite game, watching an immersive VR movie, jumping to a destination on the other side of the world, or just spending time with friends in VR, you’ll feel like you’re really there. 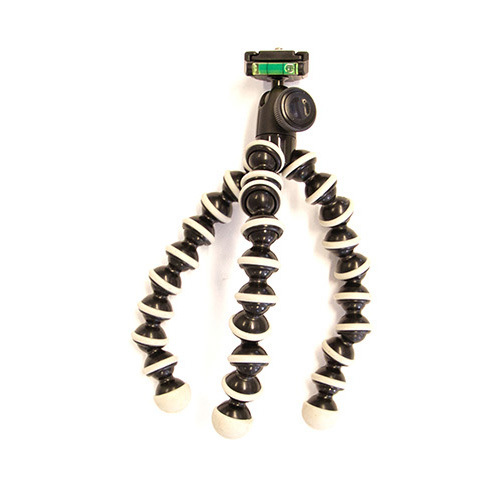 Stabilize your footage while walking around. 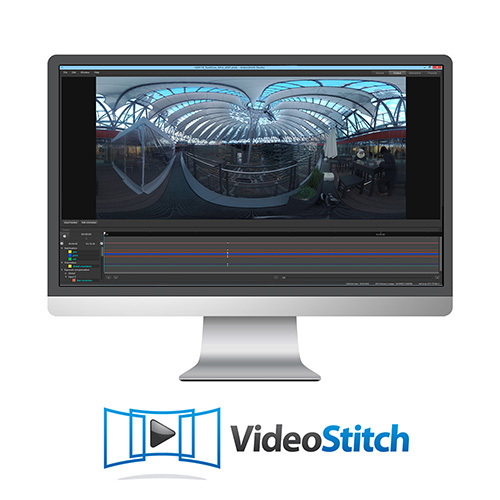 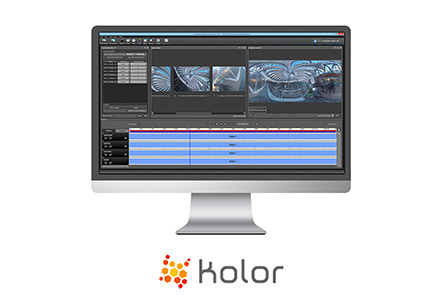 Real-time 3D-360° stitching which outputs up to 4K simultaneously via RTMP and SDI to platforms like YouTube and Facebook. 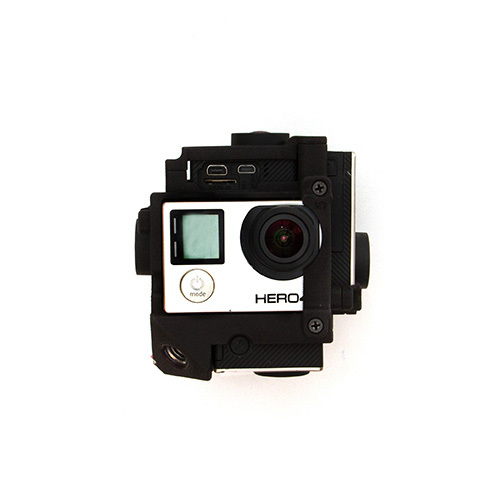 4 GoPro Hero 4 Black with a custom fisheye lens for a full 360° sphere. 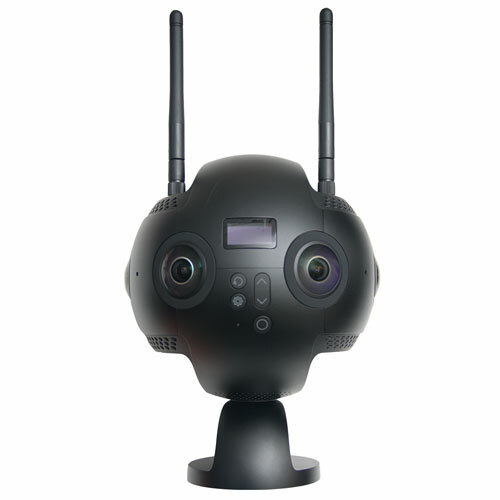 Can also be used with the Teradek Sphere. 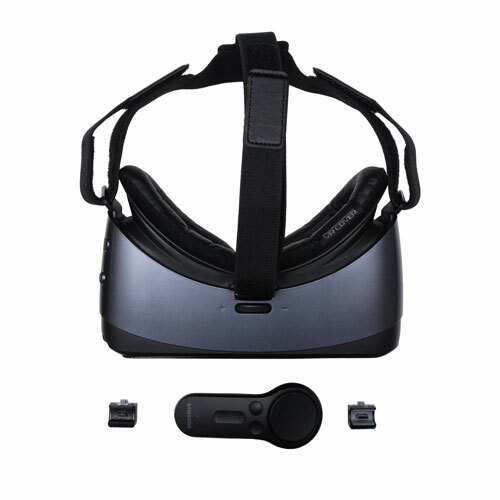 Newest model of the Samsung GearVR with a controller for gaming, as well as a micro USB and an USB-C adapter. 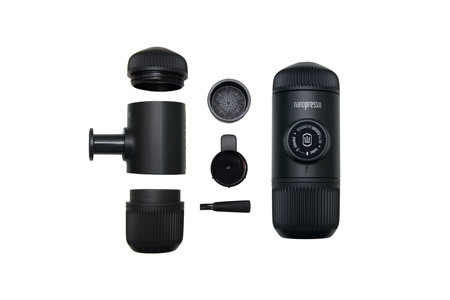 Easy to use and absolutely mobile. 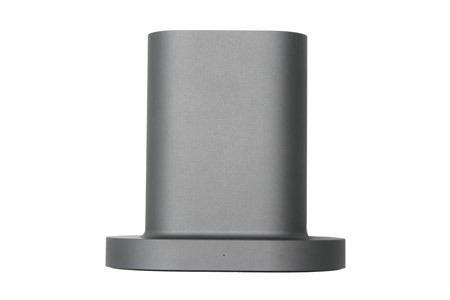 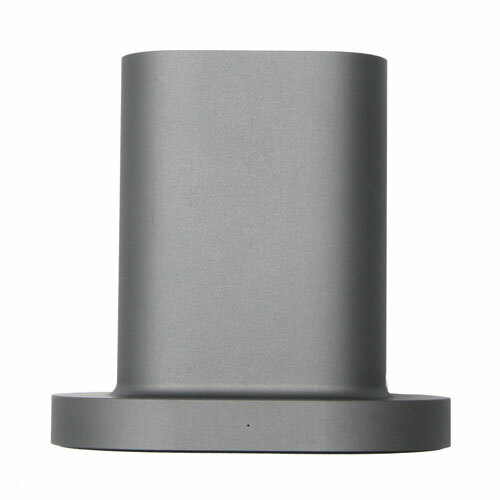 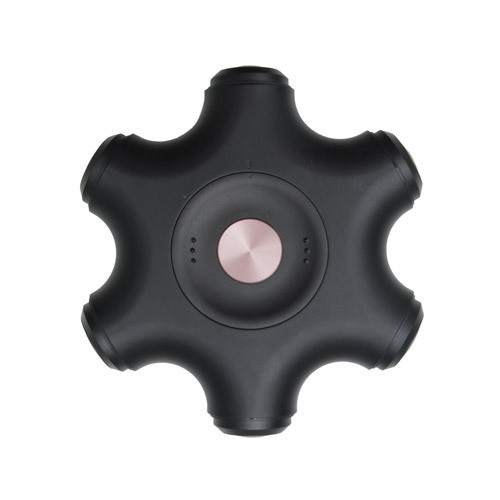 Power your ZCam S1 or ZCam S1 Pro with a V-Mount. 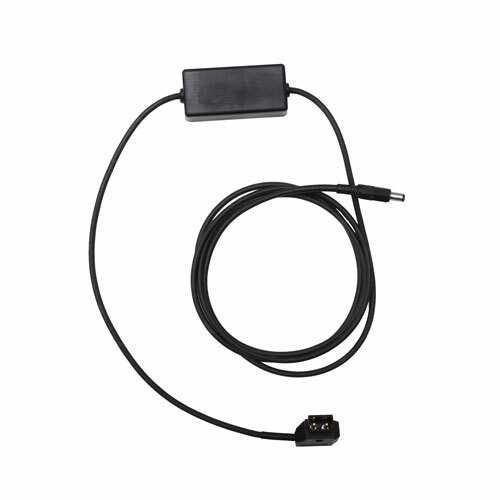 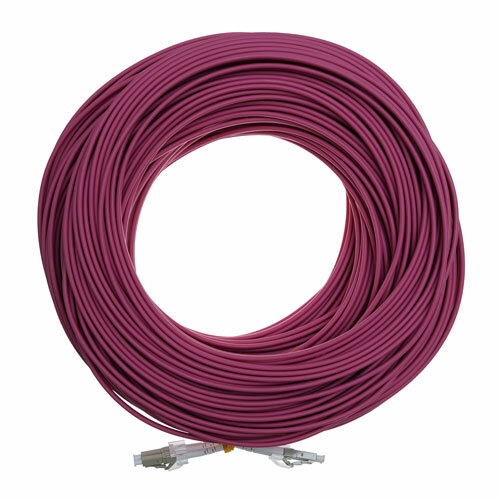 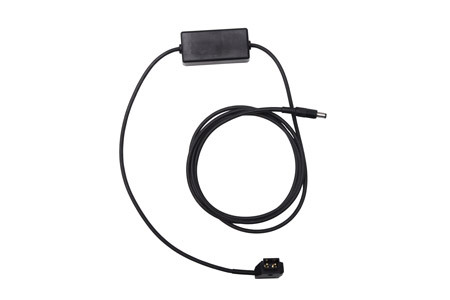 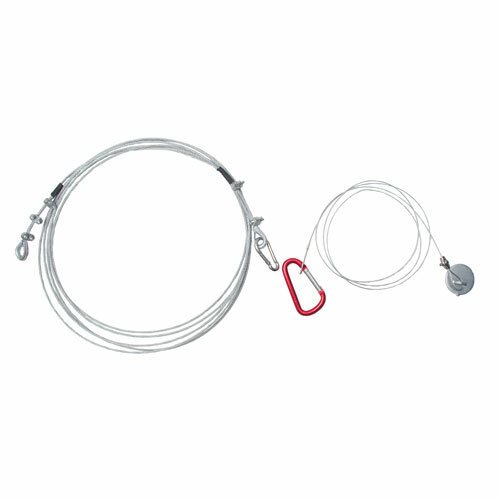 A cable capable of transmitting high data rates over a big distance without losses. 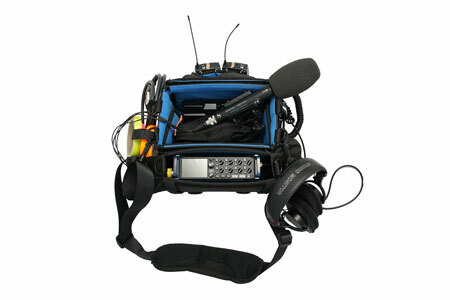 The rig is easy to handle, as it comes presynced and with data-transfer/ stitching software. 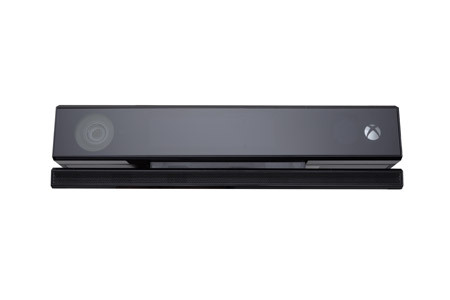 Play games on Xbox without any controllers, but with your body, language and gestures. 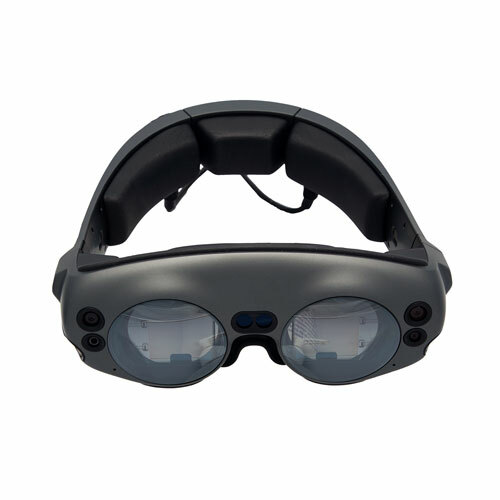 Easily immerse yourself into the mixed reality. 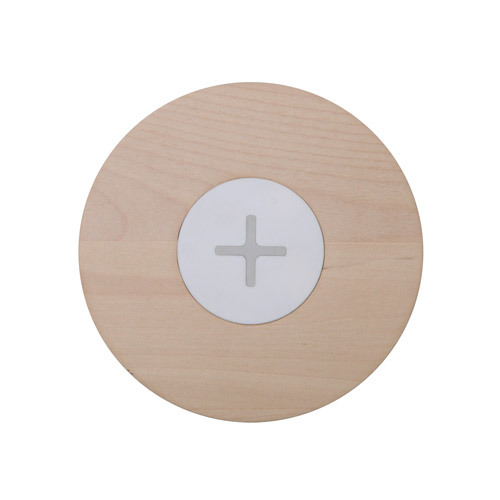 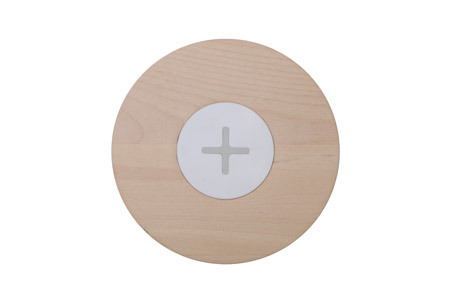 Plug and play and no hassle with sensors. 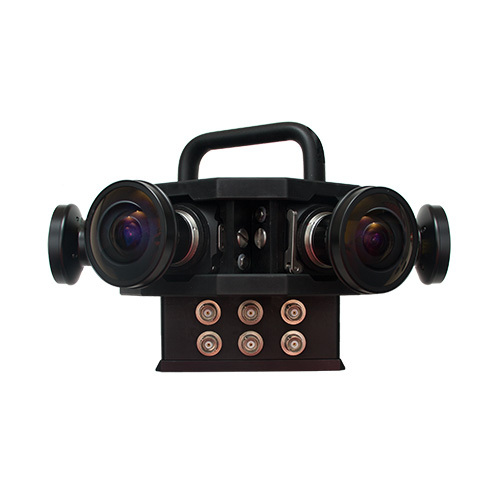 The best way to interpretate and analyse 3D camera signals. 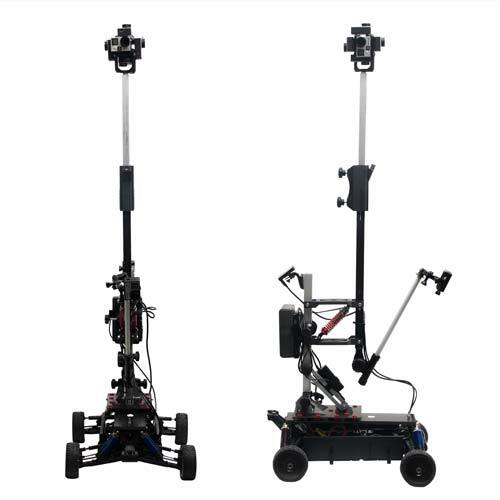 It supports mirror rigs & side-by-side setups (like the Meduza Titan 3D) for On-Set 3D preview. 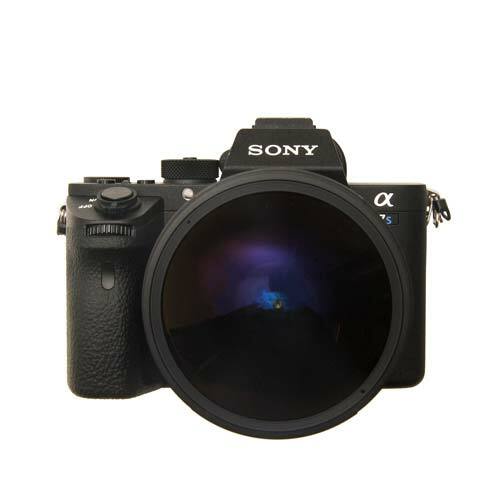 Fullframe sensor mirrorless with superb lowlight qualities and internal 4K. 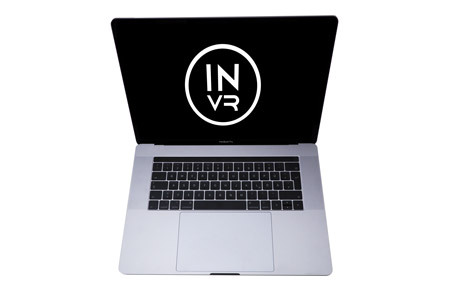 Apple’s newest MacBook Pro with the revolutionary Touch Bar is compact and perfect for high resource applications in areas, where a desktop solution is impossible. 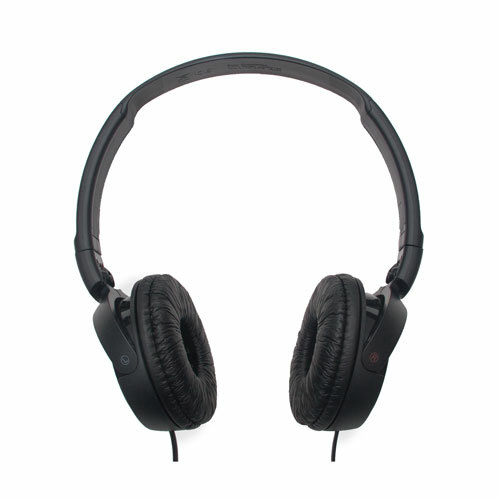 Comfortable over-ear headphones with active noise reduction and excellent sound. 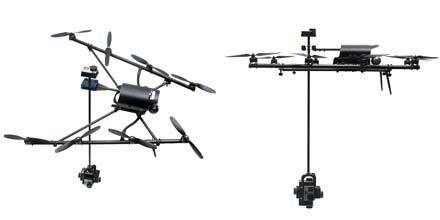 Comes in a case with a 142cm QC cable, air plane adapter and batteries. 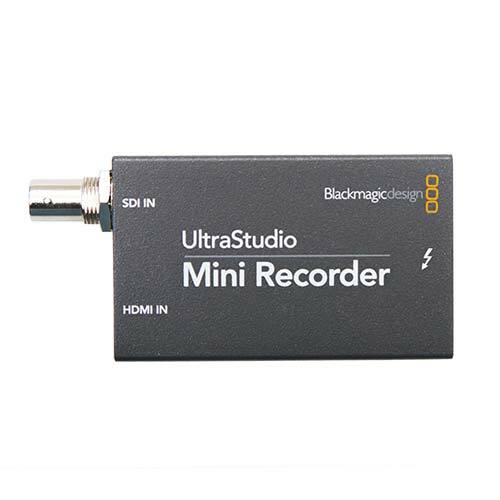 Extremely compact SDI/HDMI to Thunderbolt recording without batteries. 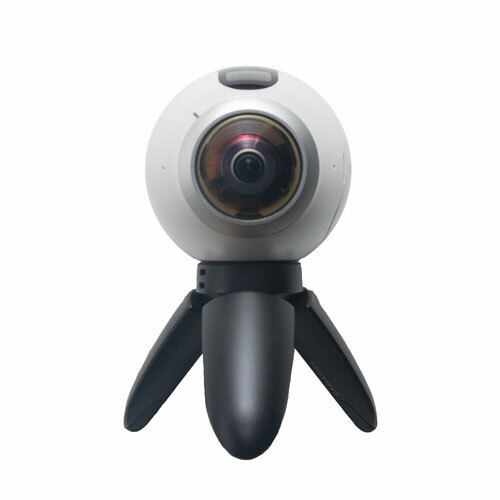 Battery pack of the Nokia OZO which provides 80 minutes of runtime. 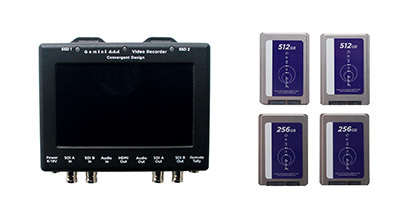 A semi professional 2D/3D camcorder with two Full HD CMOS sensors which can be operated handheld. 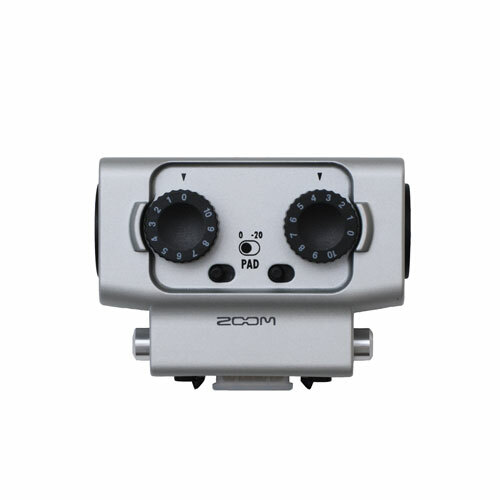 Extends the ZOOM H5 and H6 by 2 XLR inputs, which can be controlled separately. 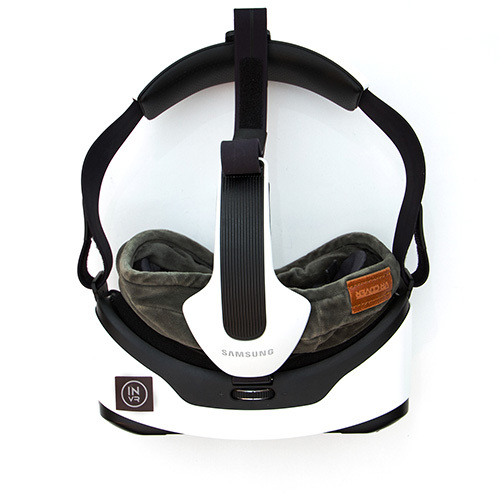 Updated model of the Samsung GearVR with a controller for gaming. 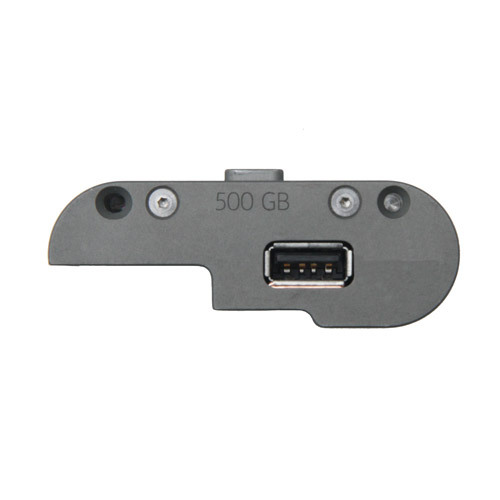 Easy to use and absolutely mobile. 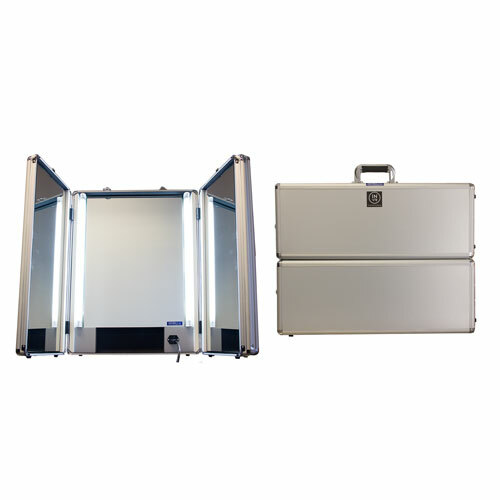 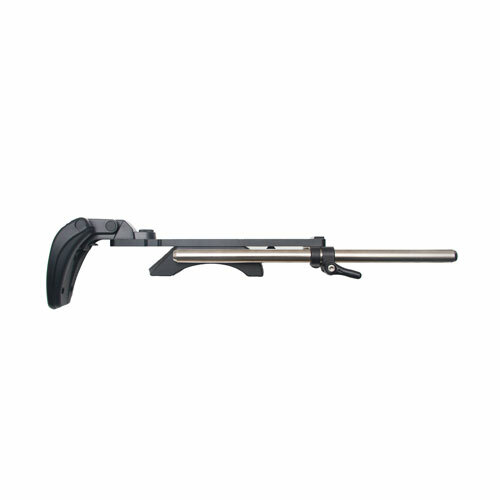 Shooting table with a 60*50cm area and infinity cove. 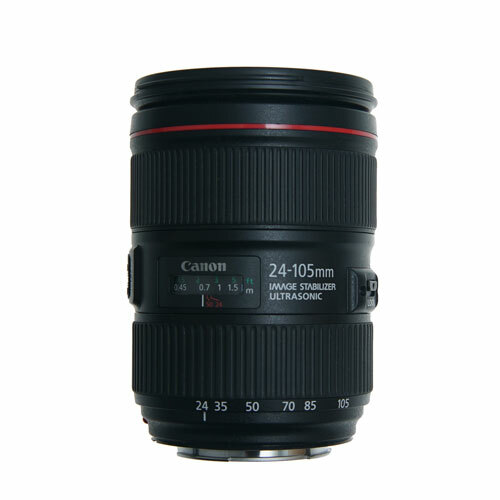 A versatile lens for Canon EF Mount with a continuous aperture of 4.0 from 24-105mm. 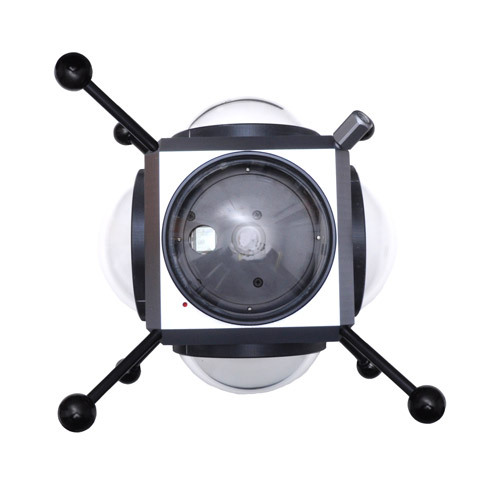 Solid 360° under water rig using 6 GoPros in mineral glass domes, which are specifically designed to not distort. 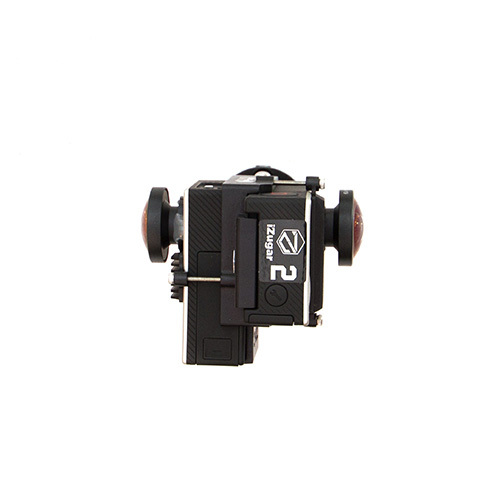 Power your Sony Alpha 7S II with a V-Mount. 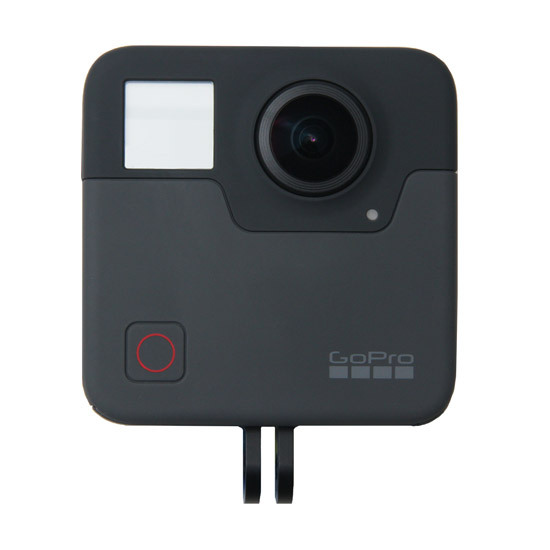 GoPro Cube which can be used for filming in worse weather conditions. 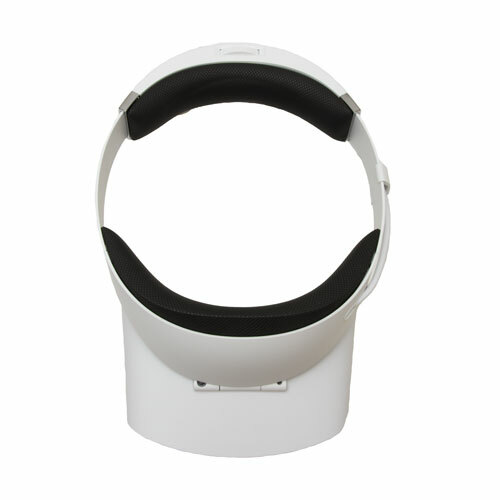 Newes modell of Samsung Gear. 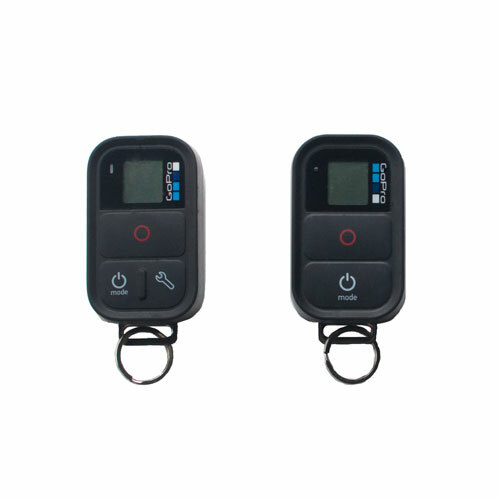 Easy to use and absolutely mobile. 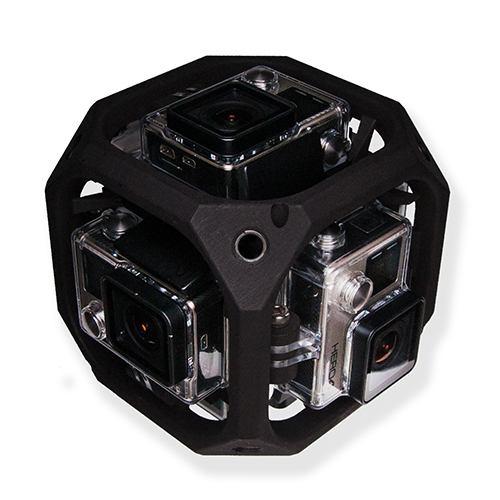 Simple GoPro Cube for a fully covered 360° sphere. 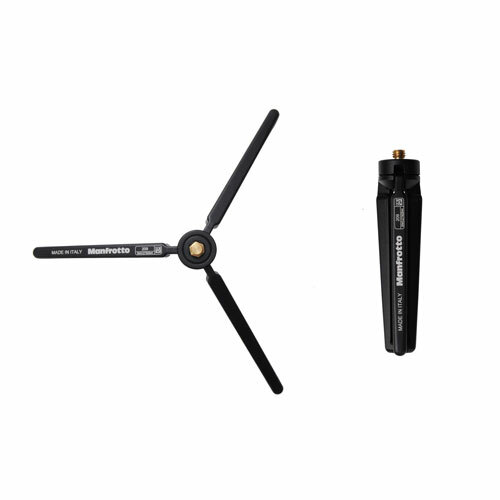 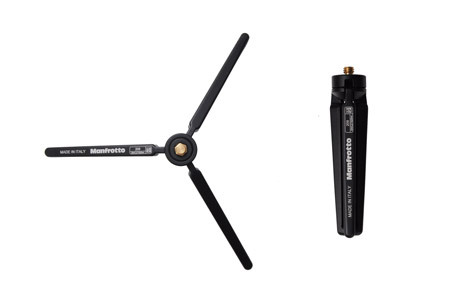 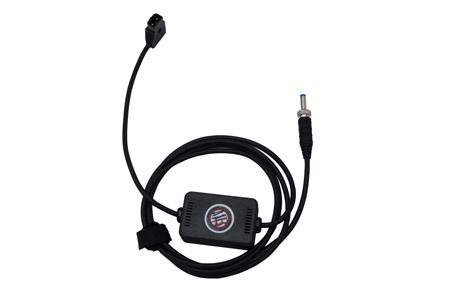 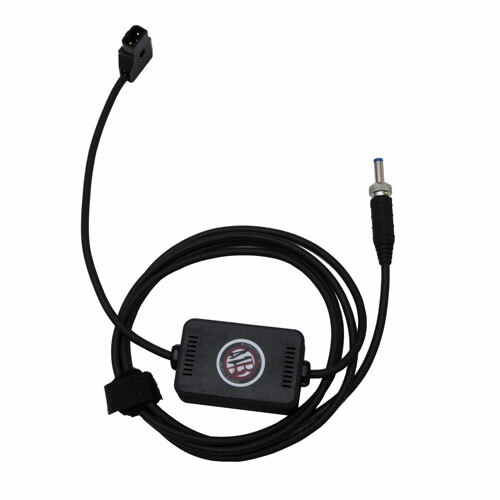 For transmitting audio from the source to the recorder wirelessly. 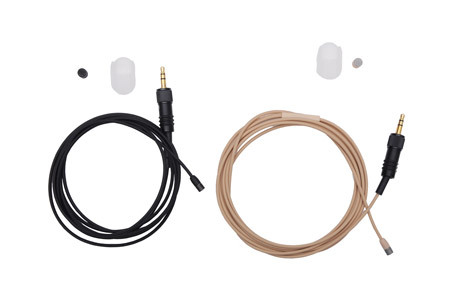 As easy as that. 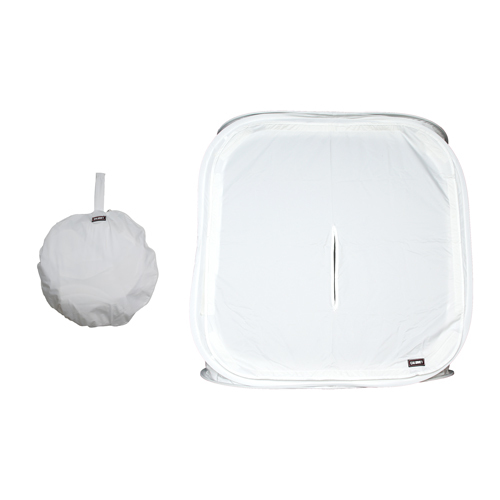 80*80*80cm big shooting tent for product photography. 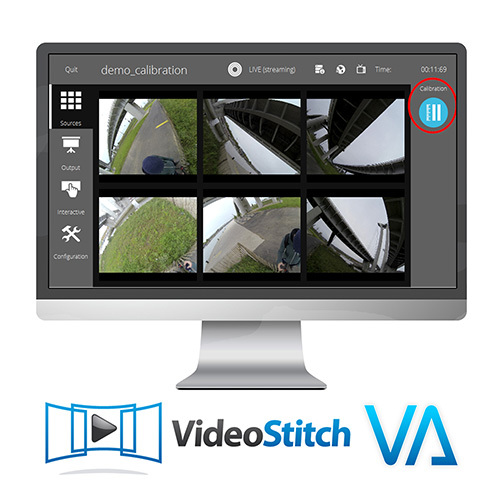 Mobile solution for 360° live monitoring / stitching as well as streaming. 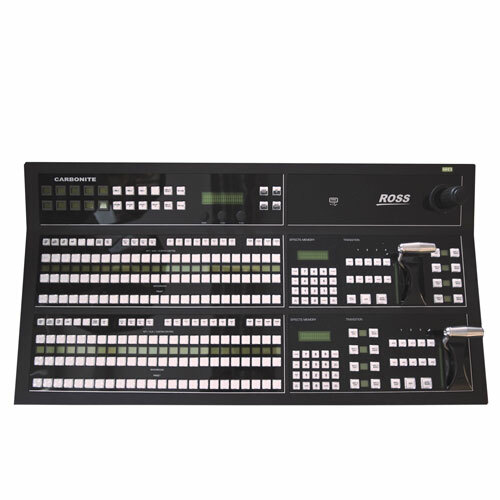 You have the option to run the whole setup on batteries. 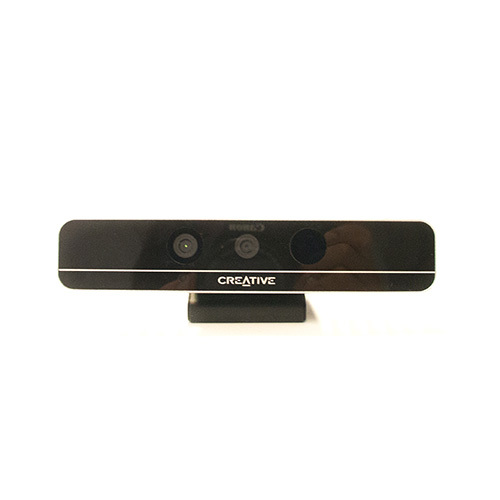 All in one VR camera solution that can capture 4Kx4K/120fps in 3D. 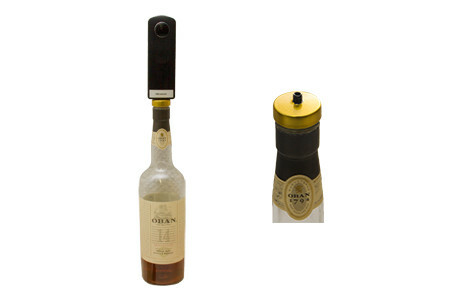 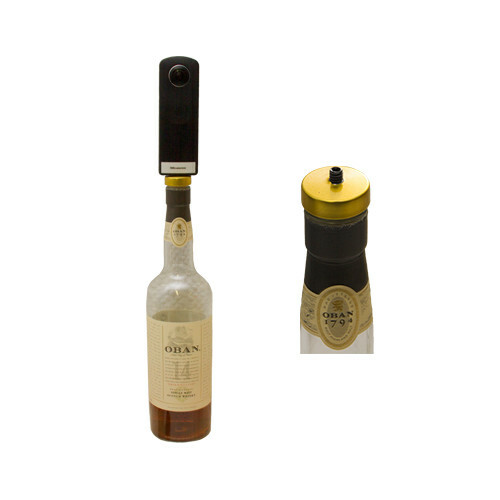 A must have: we would recommend this Rig not only to Charly Sheen, but as well for your next Party! 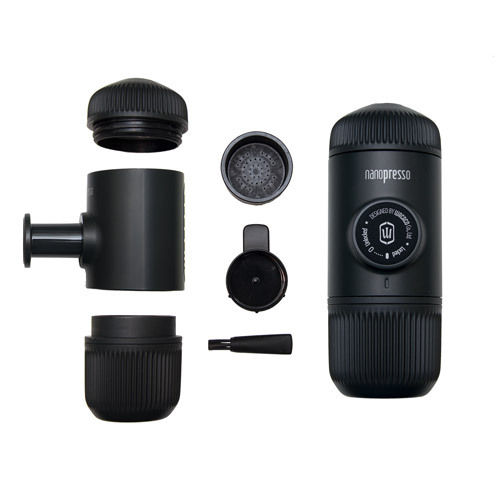 In case you need your daily dosis of caffeine during a shoot in a remote area or after a wild night out with our Bottle Rig. 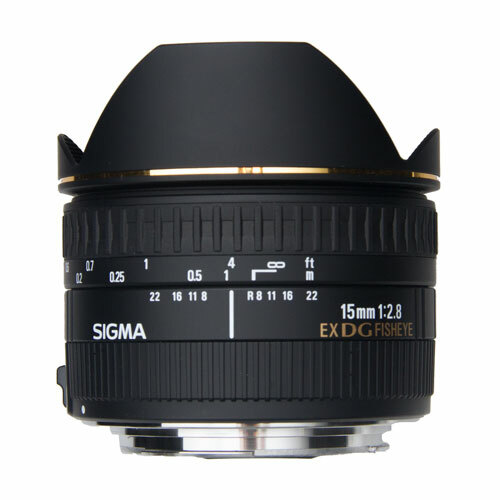 A very fast super wide angle lens for C-Mount. 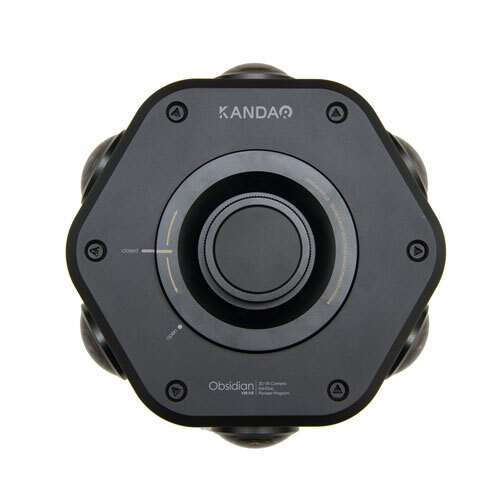 Solid proofed S3D camera to go in the field and shoot (in dual HD resolution). 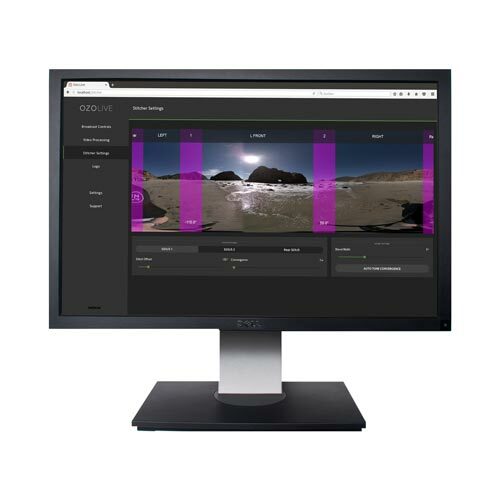 Scans objects and people rapidly fast in 3D for the best mixed reality experience. 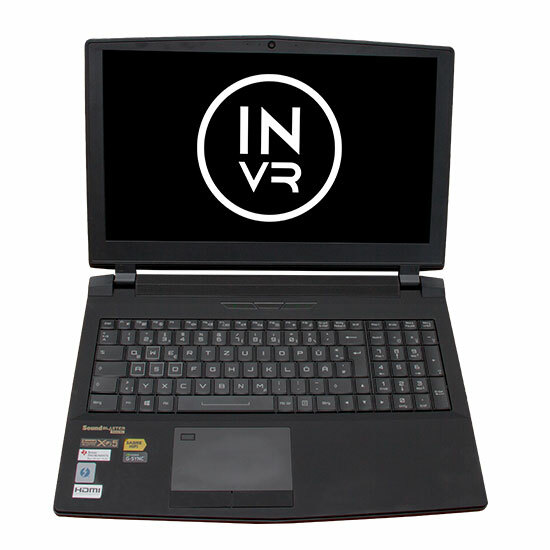 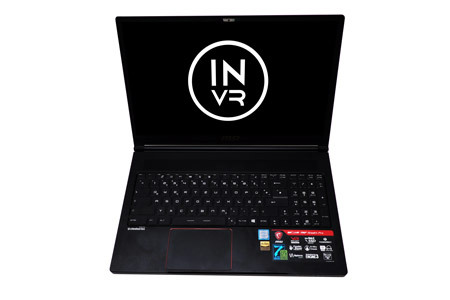 Ultra-compact Notebook with intel Core i7 and GTX1060 which is suitable for VR Gaming as well as high resource applications. 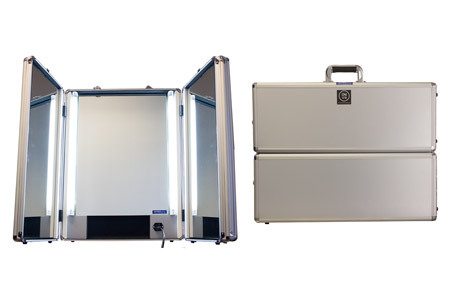 The 3D mirror rig is designed for creating 3D footage with any kind of camera (from DSLR to RED or ARRI Alexa). 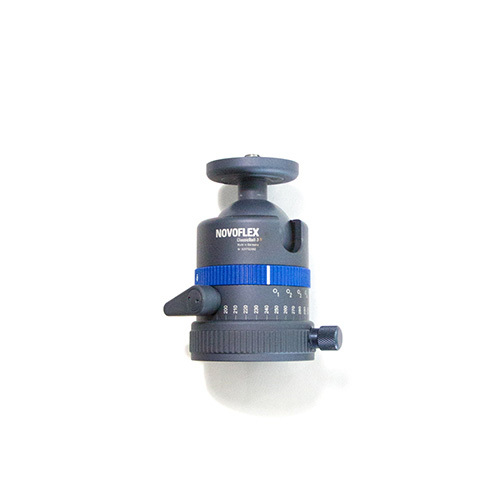 You have an interaxial distance from 0-90mm. 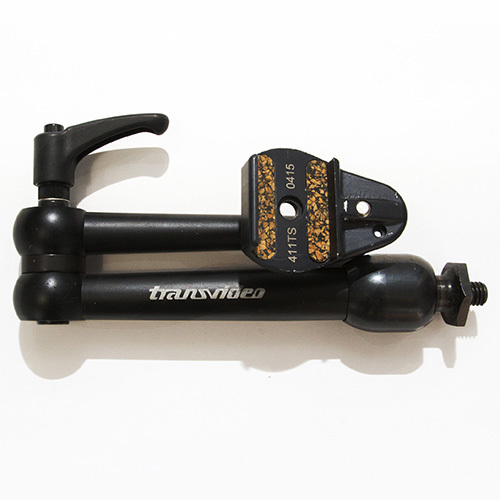 Small swingarm for better rigging options. 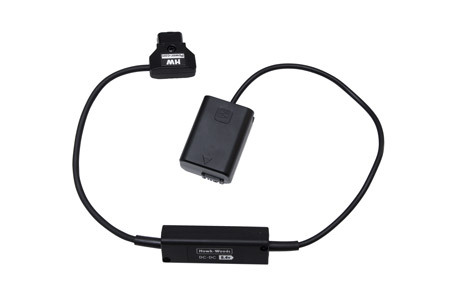 Use it to attach a Sennheiser Ambeo VR to the tripod. 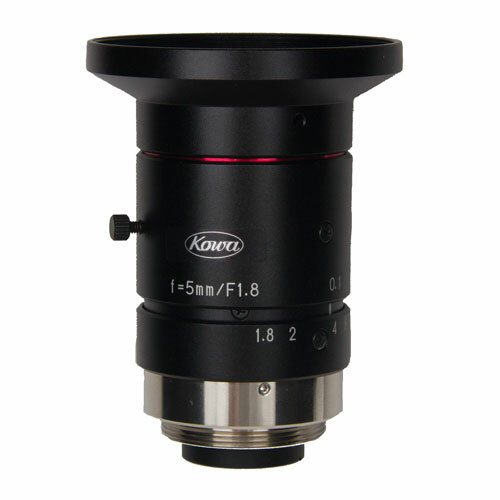 Mount Canon EF lenses onto E-Mounts, like the Sony Alpha 7S II. 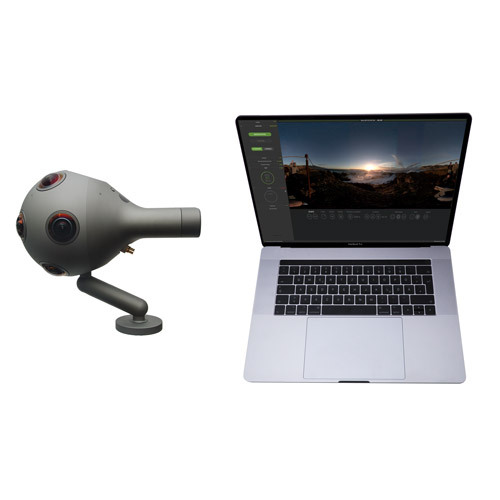 Mac or Windows workstation for setting up the OZO and having a live-preview. 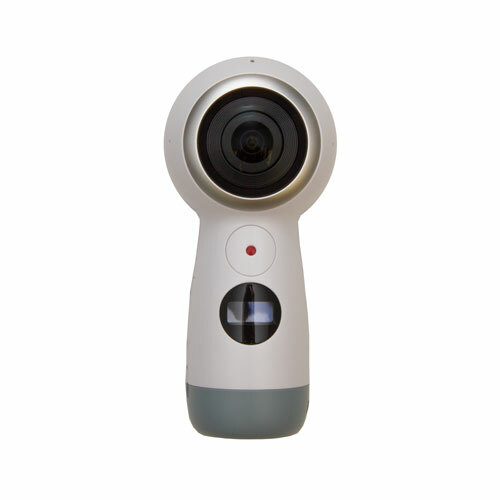 An updated version of Samsung‘s first VR camera. 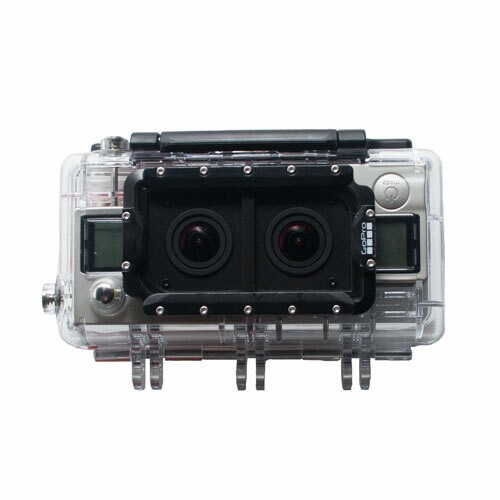 GoPro’s waterproof consumer 360° camera which can capture up to 5.2k. 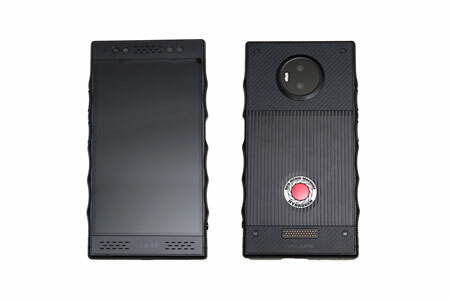 Can be used with all the latest smartphones. 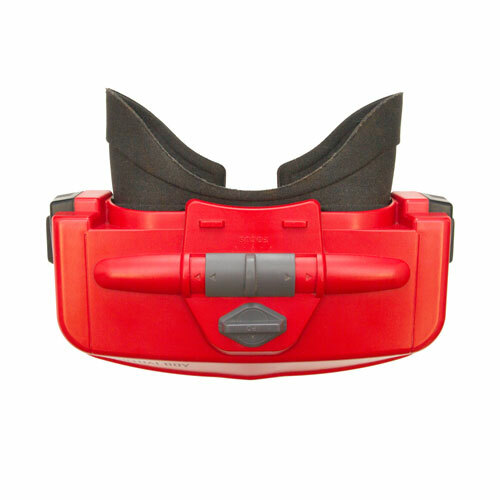 We call it "the better Cardboard", one reason is the better produced lenses. 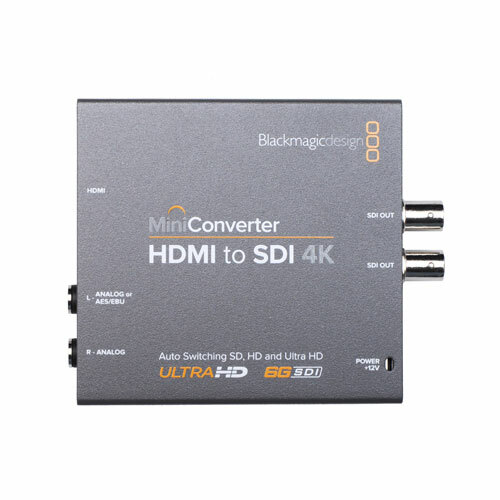 Watch movies and shows in 4K HDR quality on your TV. 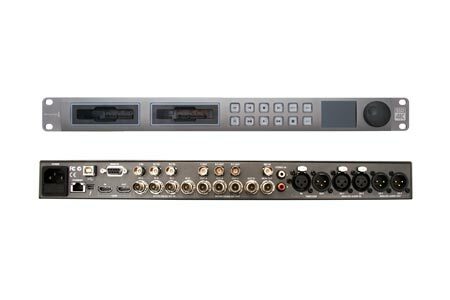 Universal TV stand with cable management to rig the TV of your choice. 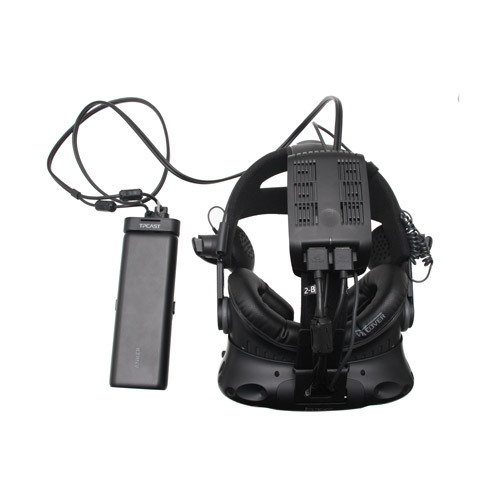 One of the first headsets simulating 3D and virtual reality including controller. 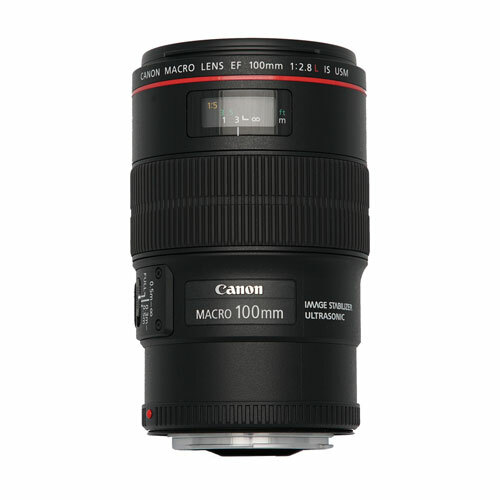 Zoomable wide angle lens for Canon EF-Mount. 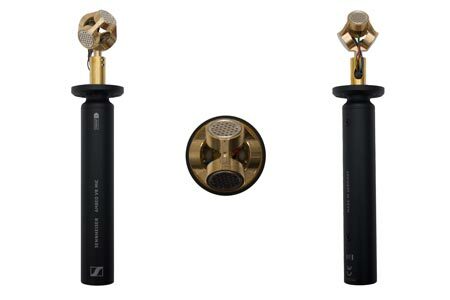 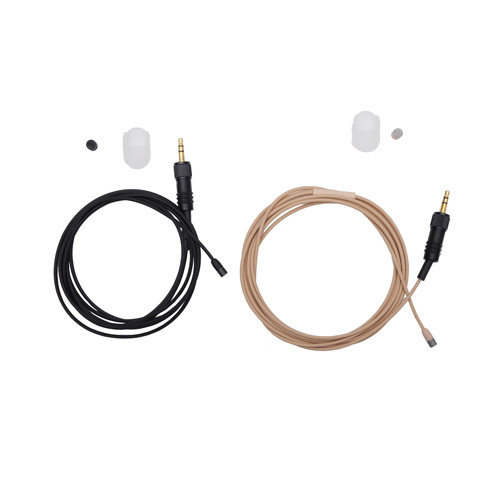 High-end omnidirectional lavalier microphone in black and skin-tone color. 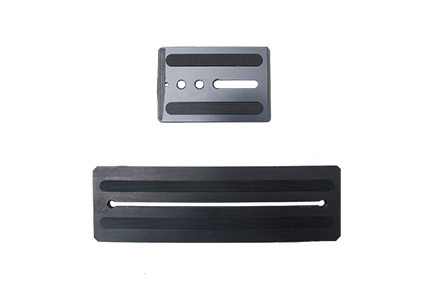 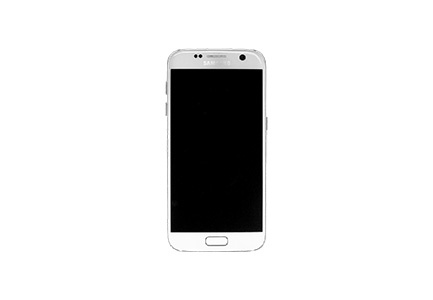 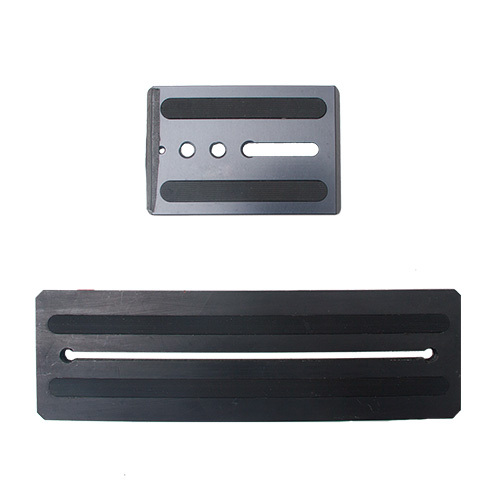 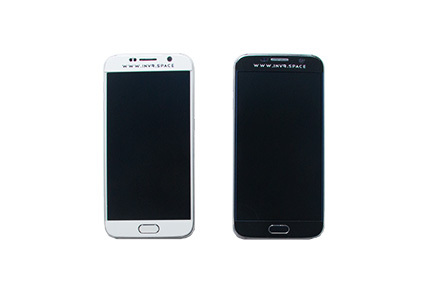 Can be used with all the latest smartphones such as IPhone S6 / IPhone S5 or Samsung S6 / Samsung S7. 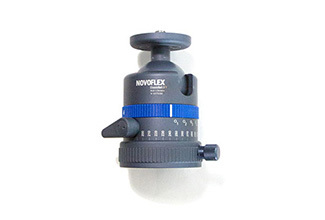 We call it "the better Cardboard", one reason is the better produced lenses. 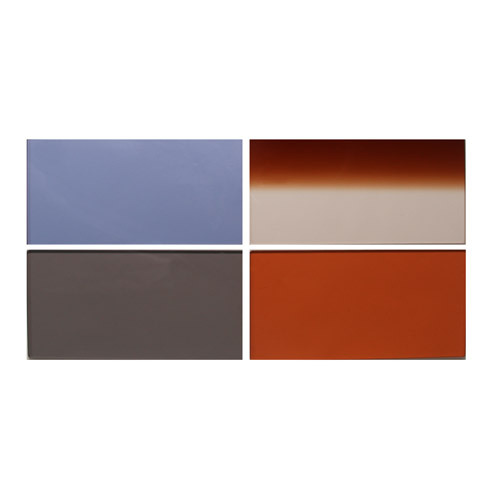 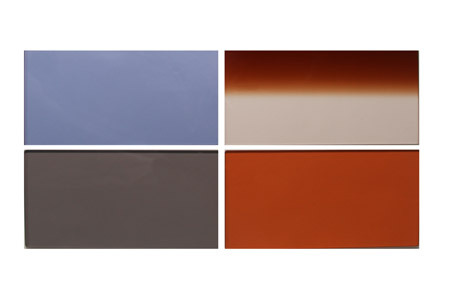 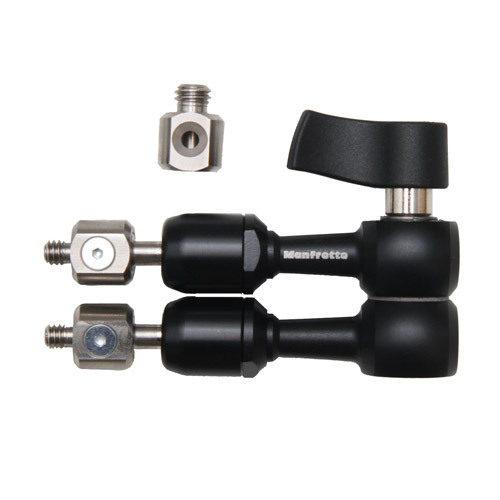 Filters (tobacco, ND, CTB, UV) specialized for the Meduza System Titan 3D. 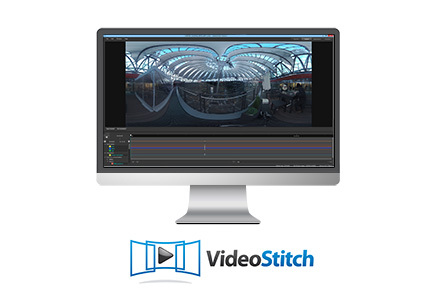 Your clients want to see results of more complex shots properly stitched during a shooting day? 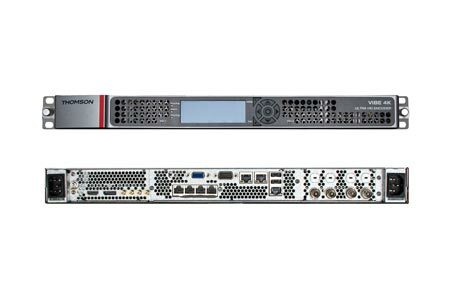 With this powerful on-set workstation you can manage high level stitchings – and render out quickly. 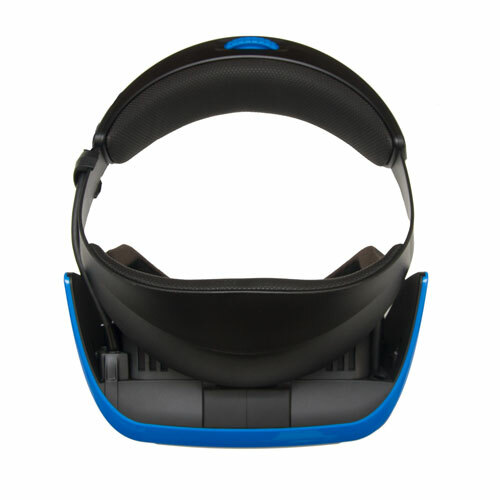 Feel free to ask for operators as well, we can provide skilled staff! 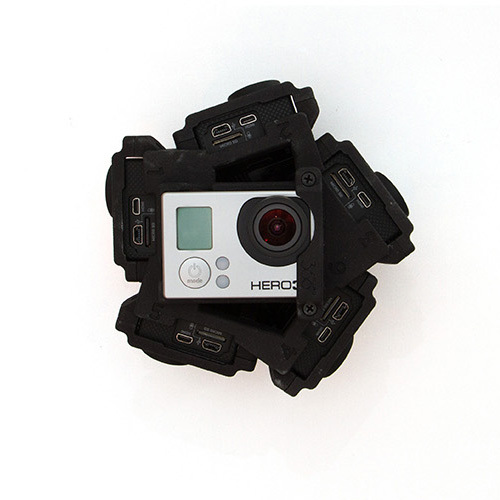 GoPro Rig which captures partial 360° footage (black hole in the bottom). 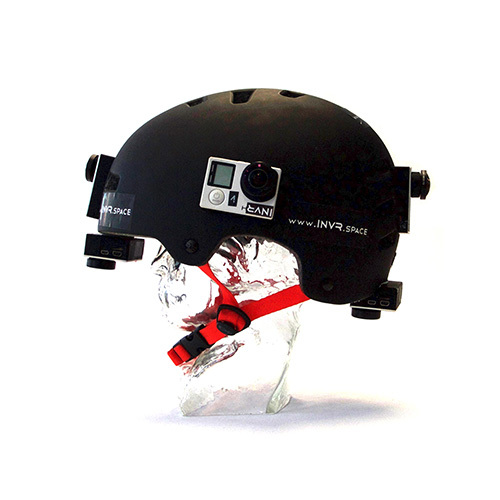 Customized helmet for POV filming. 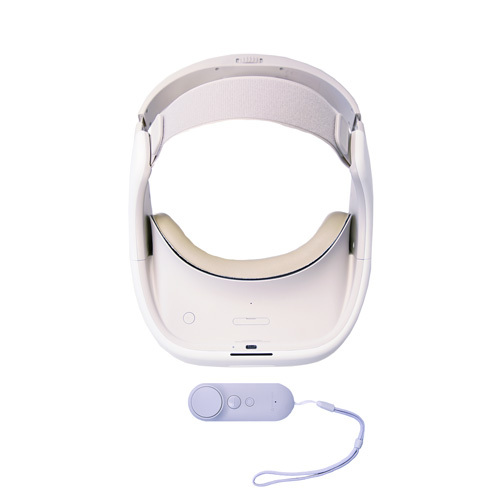 Charging Station for the Nokia OZO Digital Cartridge. 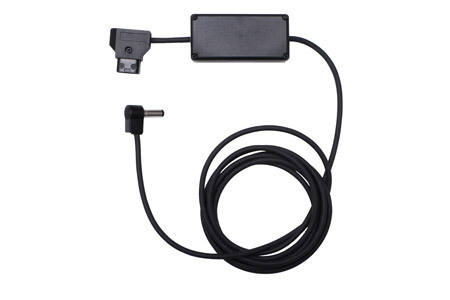 By connecting a USB cable you can also transfer the files while charging. 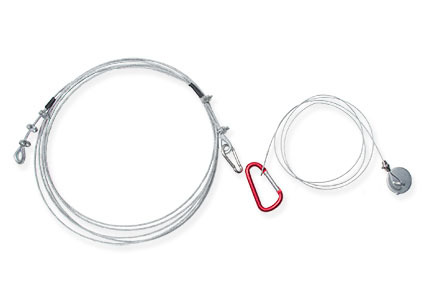 More rigging options. 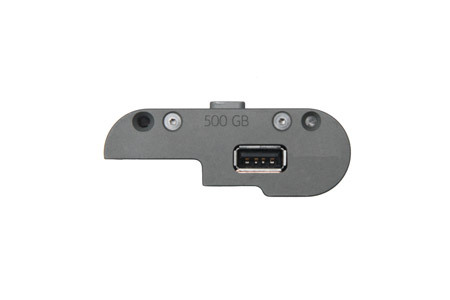 Use it to attach a monitor to your rig. 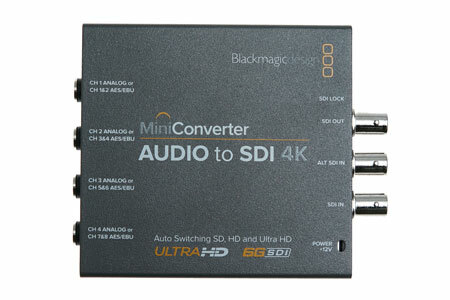 External RAW-Recorder, which allows you to record two SDI HD-singals in a high bitrate for easy postproduction. 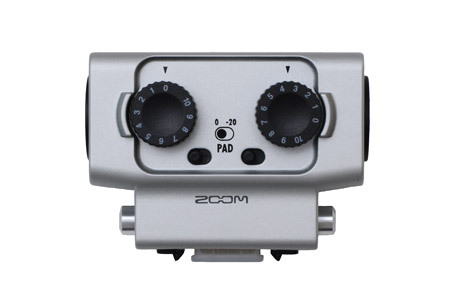 Protective Case for ZOOM F4 and F8 MultiTrack Field Recorders. 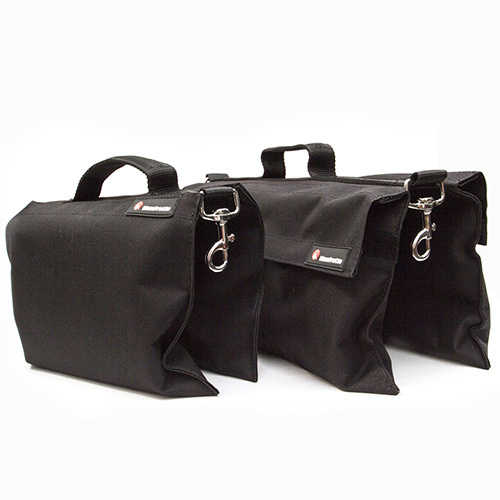 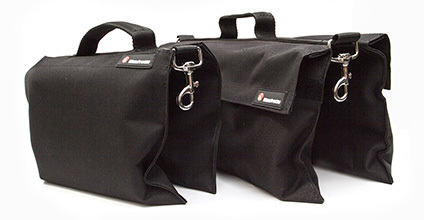 It is lightweight, water-resistant and versatile. Rapid encoding in 4K with superior HEVC compression and HDR support. 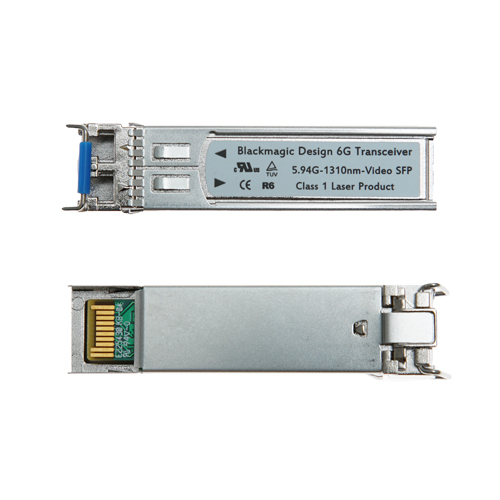 All-in-one solution. 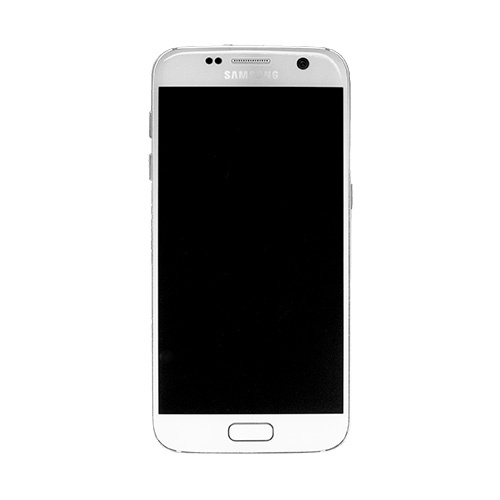 No smartphone needed. 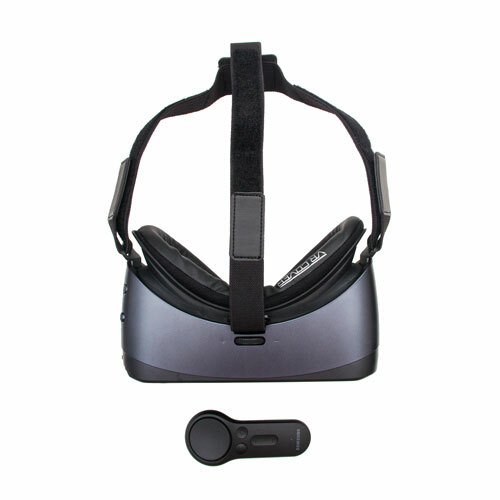 Just put in a SD card with your VR content and enjoy. 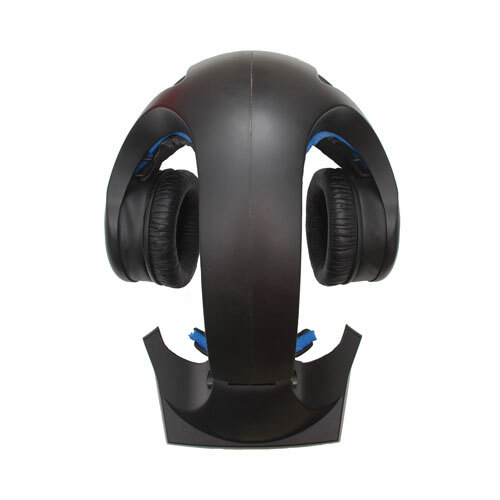 You need to give your product a finishing touch? 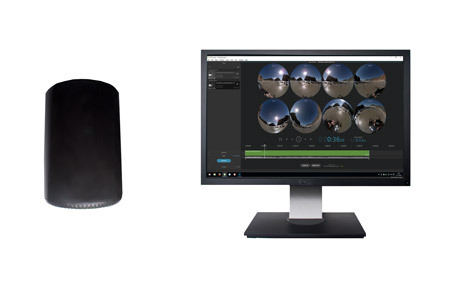 Colour - grading & DaVinci Resolve 12 (full Studio Version) paired with a Tangent Element Panel - bundle lets you focus on a visual style you create – live preview on VR HMDs available on demand. 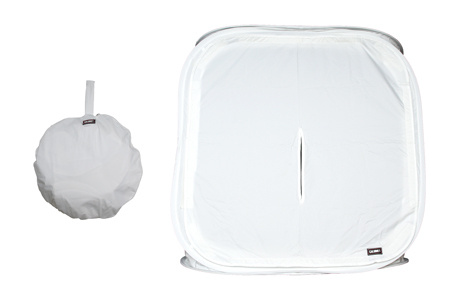 For all the beauty your next shoot needs. 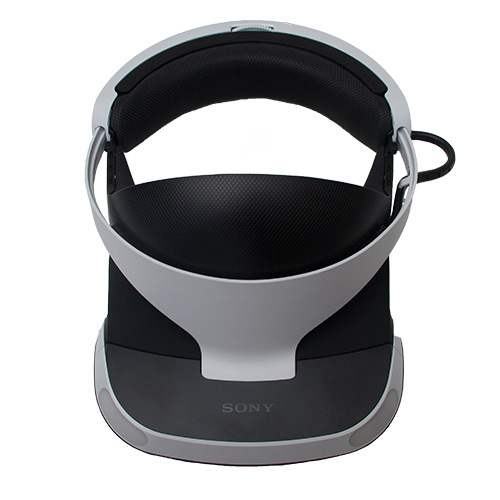 Straps with integrated earphones with a comfortable cushion. 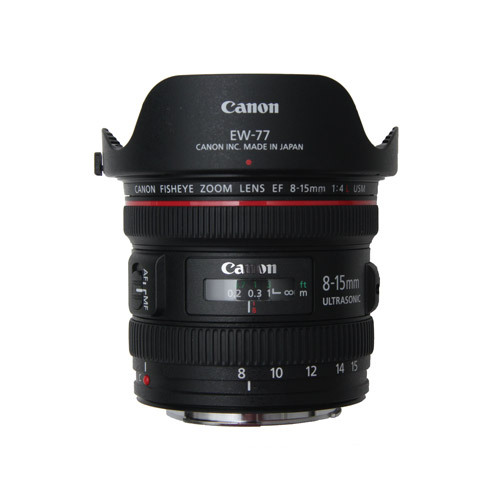 A super wide angle lens with fisheye effect for Canon-EF Mount. 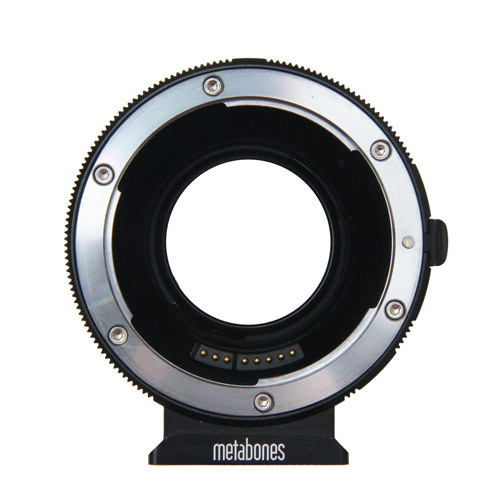 Can be attached to E-Mount with Metabones adapters. 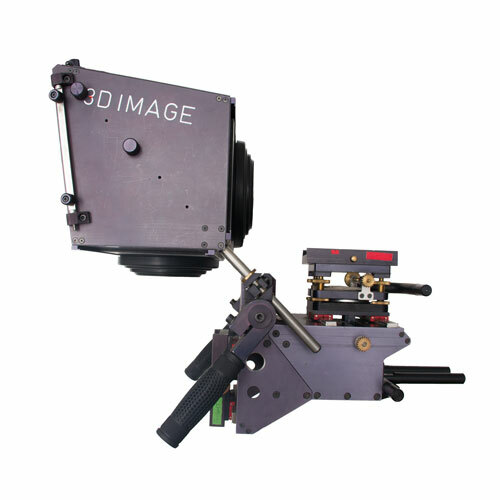 This rig is designed to cover main focus areas in front in stereoscopic 3D (180°) and the other direction just in one monoscopic 2D image. 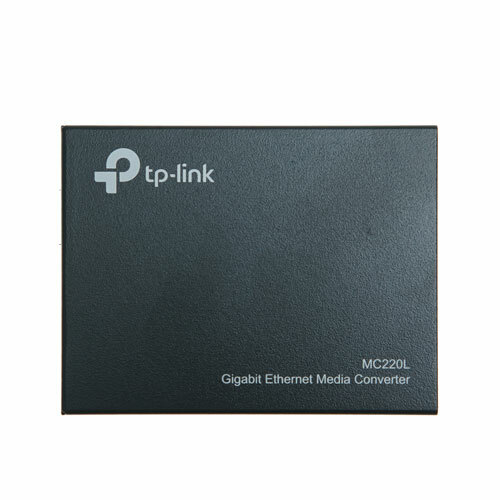 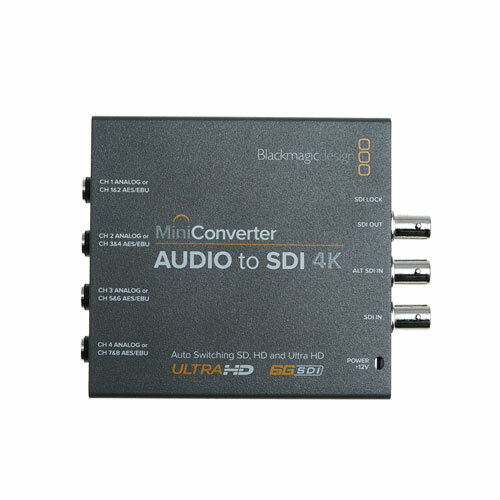 Converts HDMI to SD, HD, 3G and 6G-SDI video in up to Ultra HD video formats. 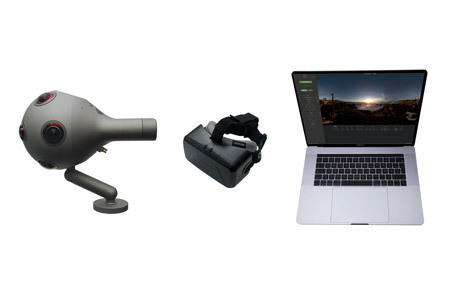 All in one VR camera solution which is pretty handy and can capture 8K photos as well as stream 4K. 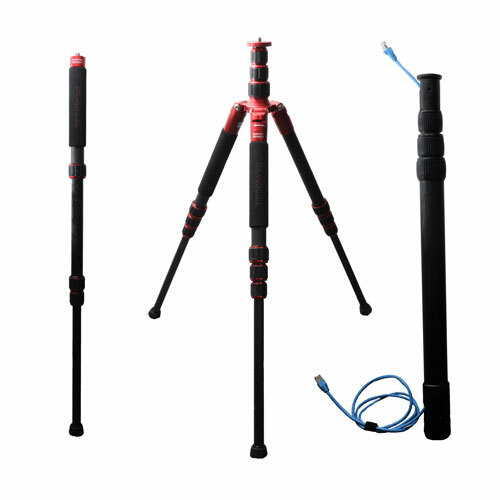 Ultra light-weight and highly adjustable tripod, which can be extended up to 279cm with the COREPOLE VR. 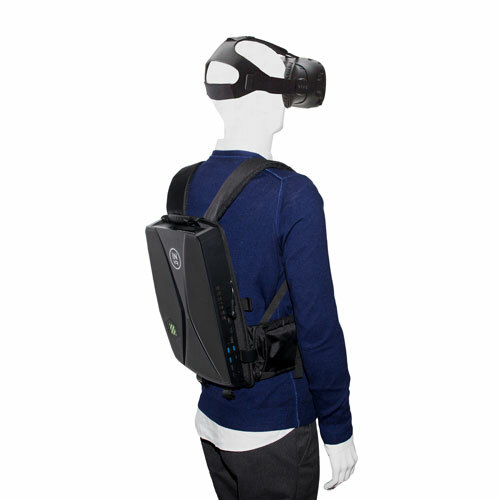 The COREPOLE VR can run cables through it. 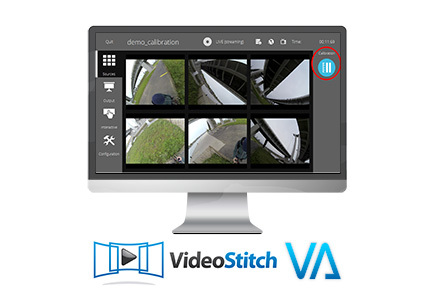 A very cost-efficient way to get your 360° video stitched. 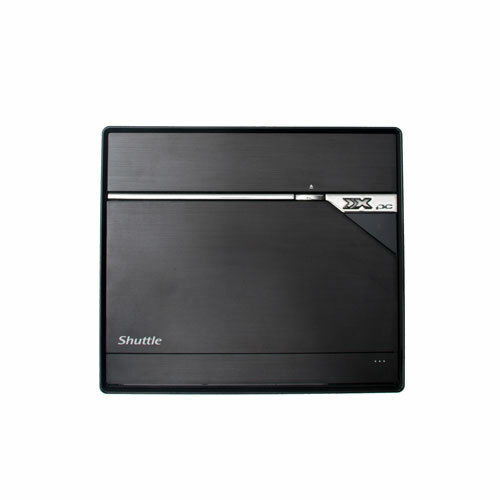 Fully licensed and with enough space on hard drives for your files. 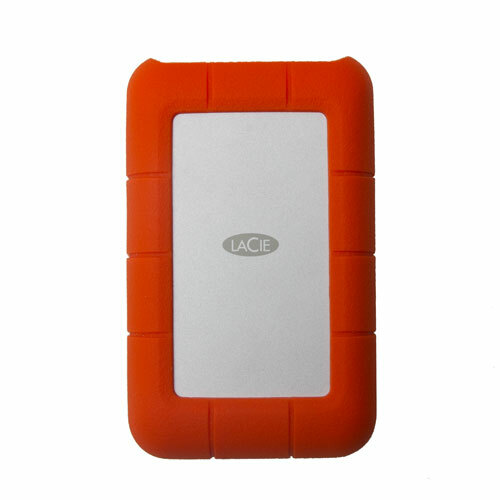 A very reliable and versatile hard drive for your data. 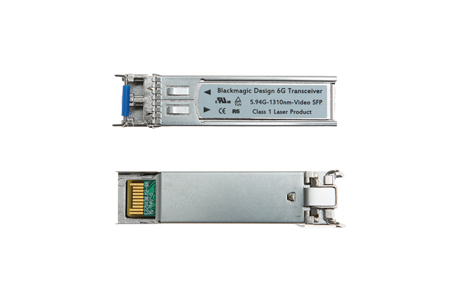 Fast data transfer due to Thunderbolt or USB 3.0 technology. 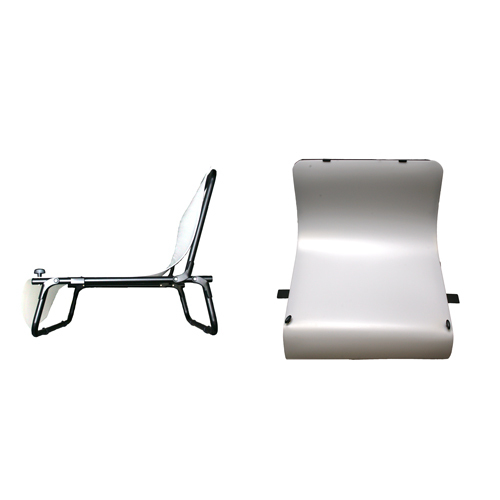 We can offer different capacities for On-Set use. 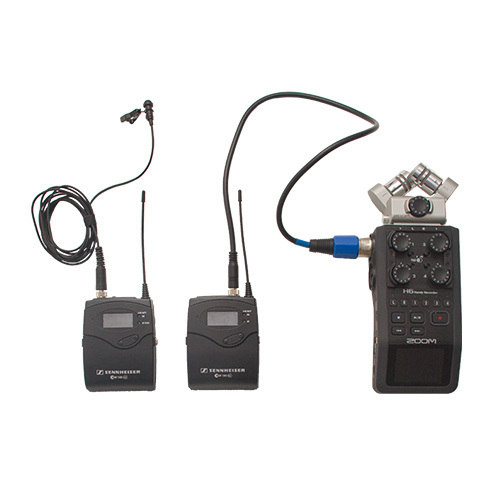 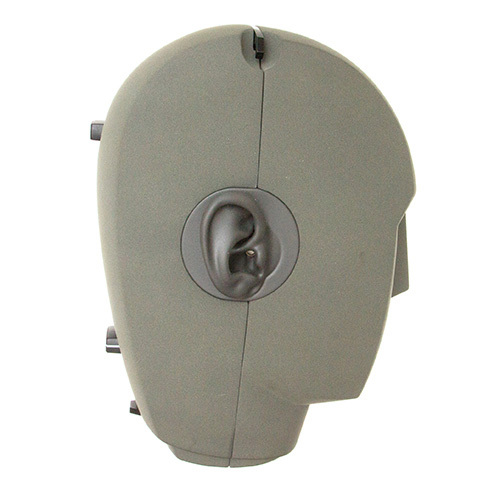 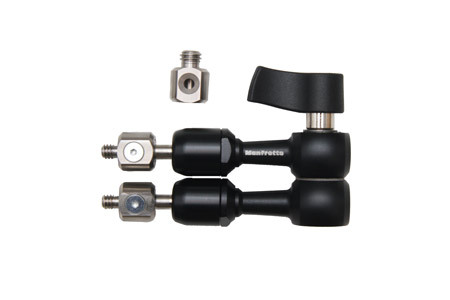 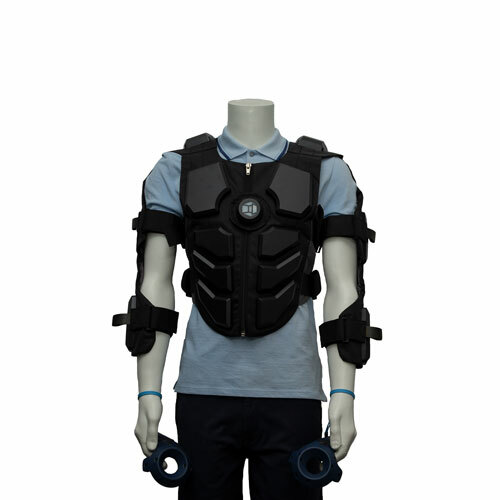 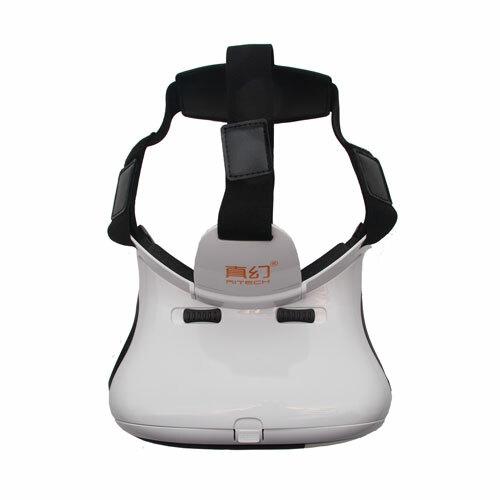 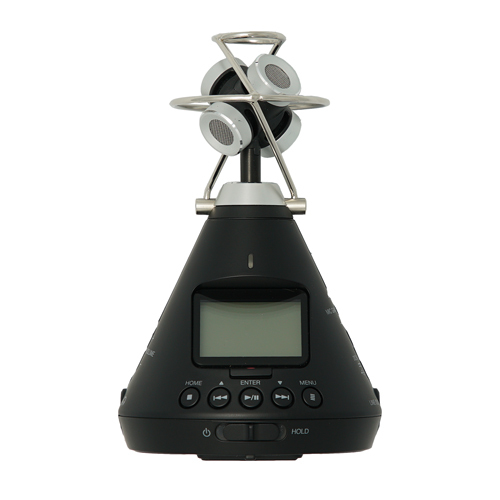 Easy to handle and lightweight sound recording device to be used in the field. 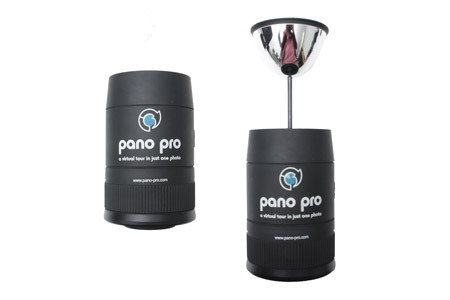 Convenient way of capturing 360° footage. 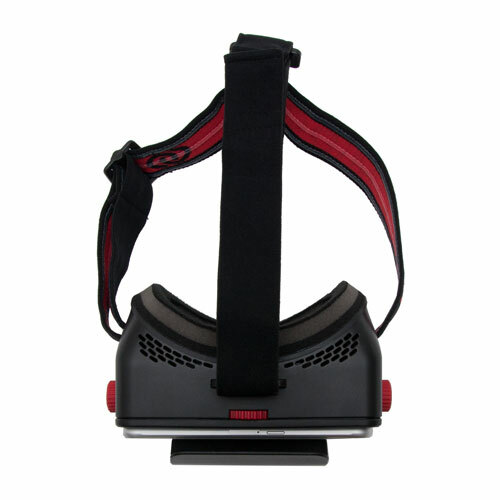 One of the first virtual reality headsets. 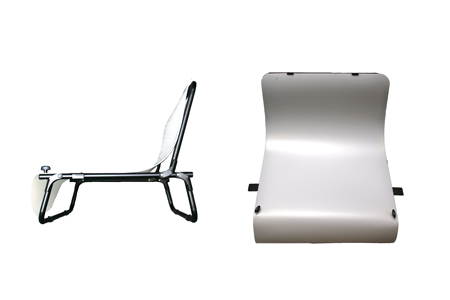 Bring the oldschool feeling home. 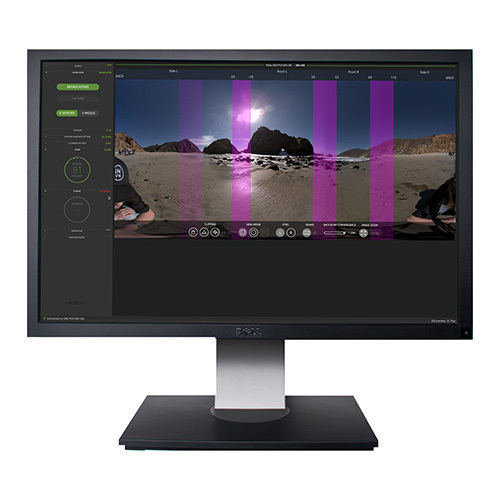 Easy solution for getting the best footage in overexposed areas. 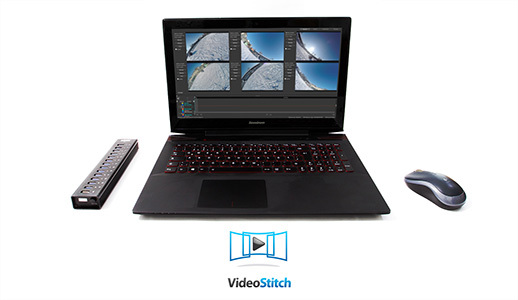 Videostitch in combination with PTGui – and proper hardware – is a powerfull toolset to create 360° videos. 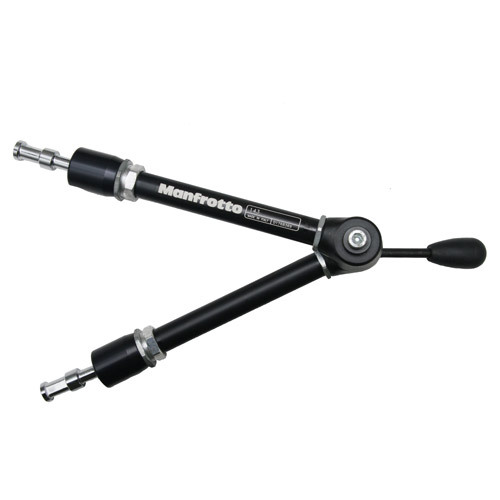 Mount your iPad onto a tripod so you have free hands. 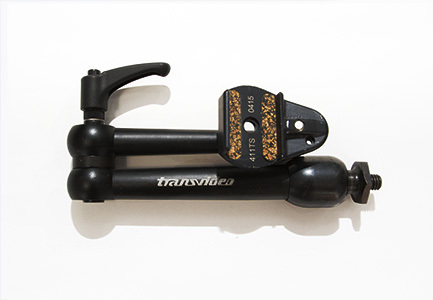 Adds more customisation options to your rig and accessories. 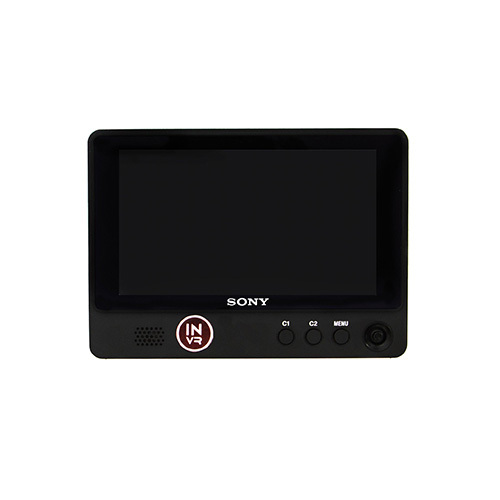 A professional and versatile 8" monitor which produces clear pictures without aliasing or blurs because of its processor. 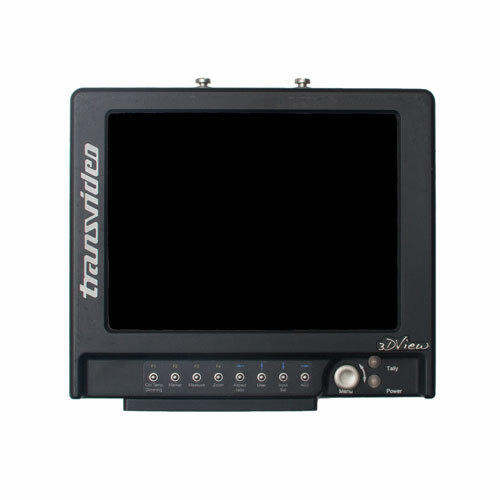 The Transvideo supports 3D camera signals and shows different stereoscopic 3D image formats. 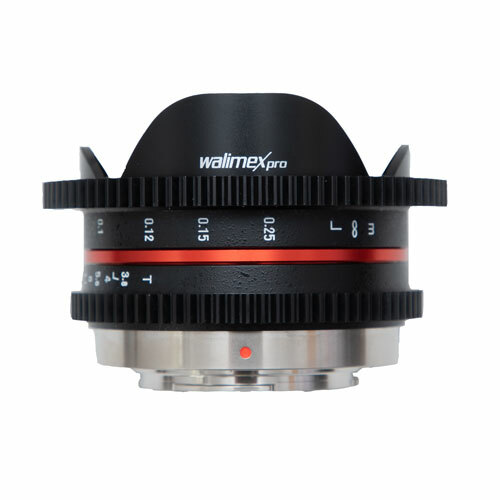 A very fast super wide angle lens with fisheye effect for C-Mount. 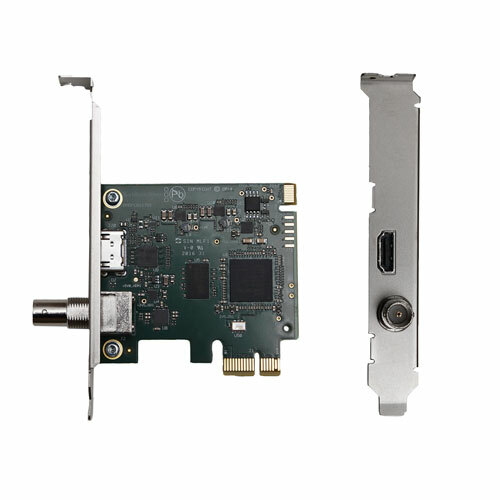 Adapter to transfer an SDI signal out of the Nokia OZO to your live preview station. 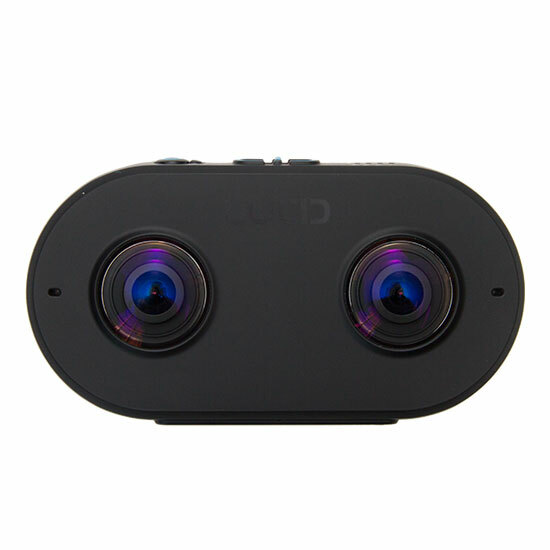 Powerful smartphone, enough to watch 360° Videos. 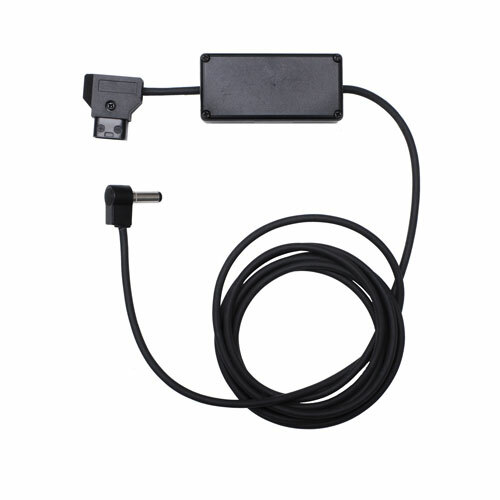 Charge smartphones with the Qi Certificate wirelessly. 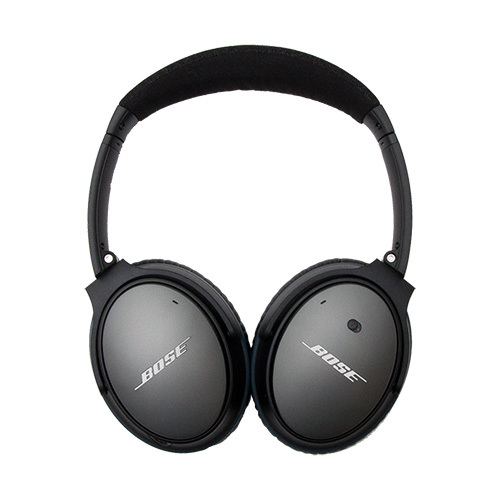 Comfortable on-ear headphones with great sound in black. 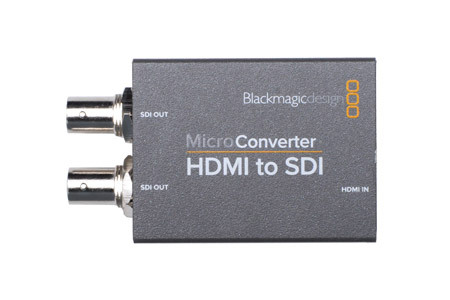 Converts HDMI to SDI in SD and HD up to 1080p60. 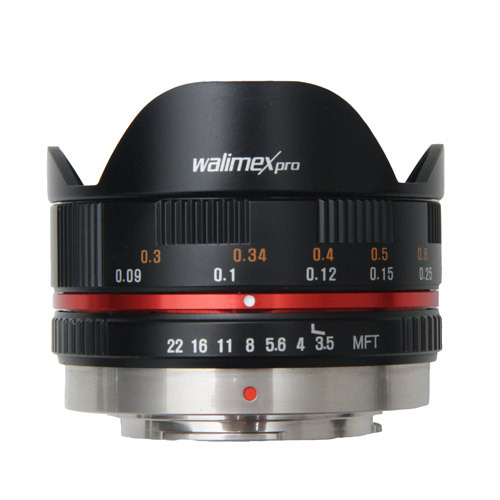 A very fast wide angle lens for C-Mount. 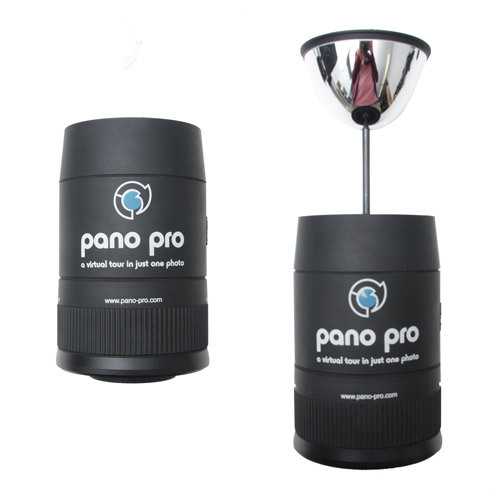 Cover the whole 360° sphere with only 2 GoPro‘s. 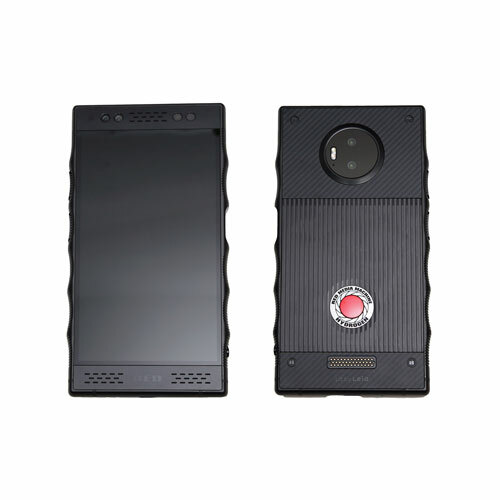 Google’s powerful smartphone. 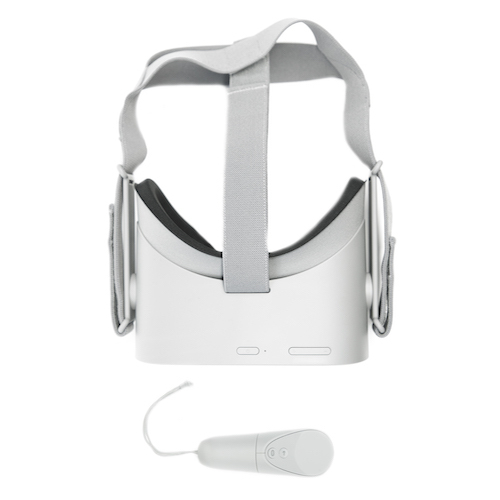 Pairs perfectly with the Google Daydream. 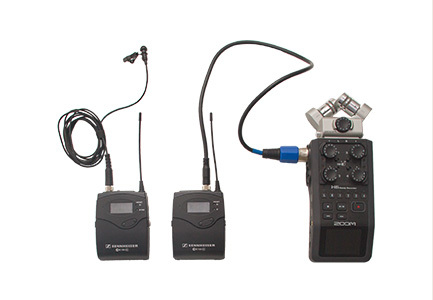 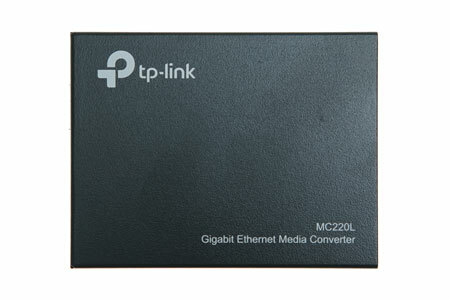 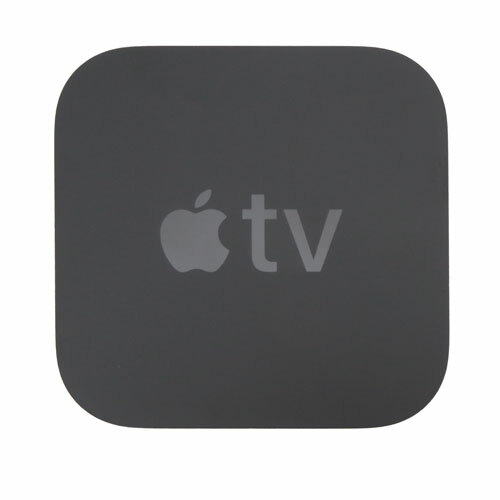 Endless recording in up to 10bit 1080p/60 & 2160p/30 while broadcasting simultaneously. 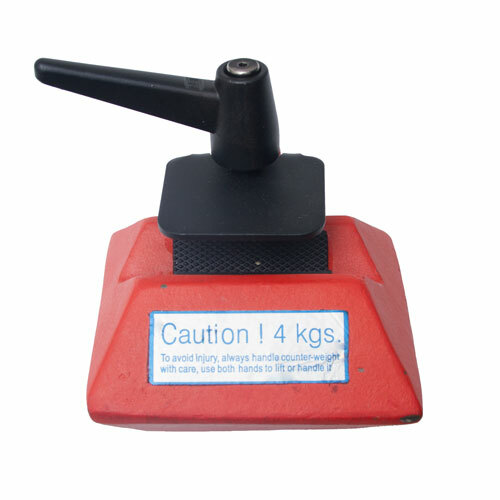 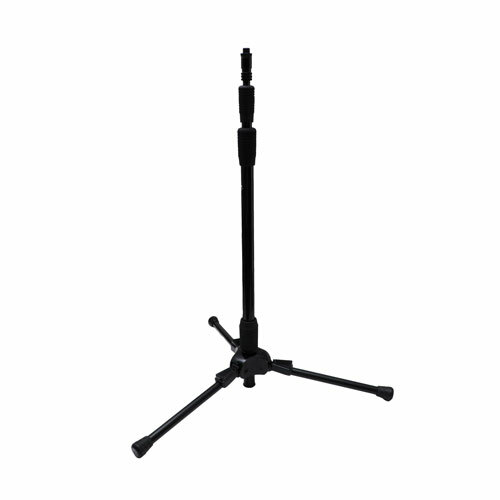 Solid 5.8kg tripod with air suspension in the two lower segments which extends to 180cm. 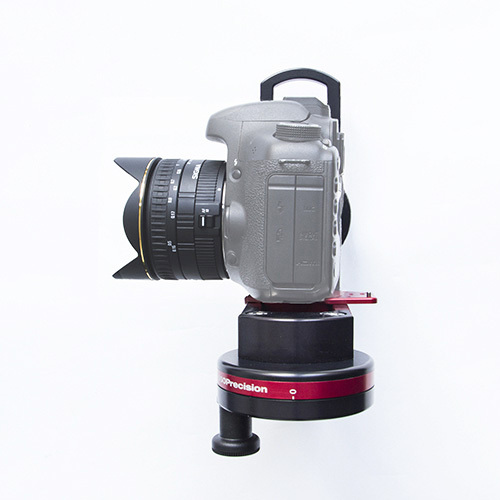 Easy way to make your tripod even more secure. 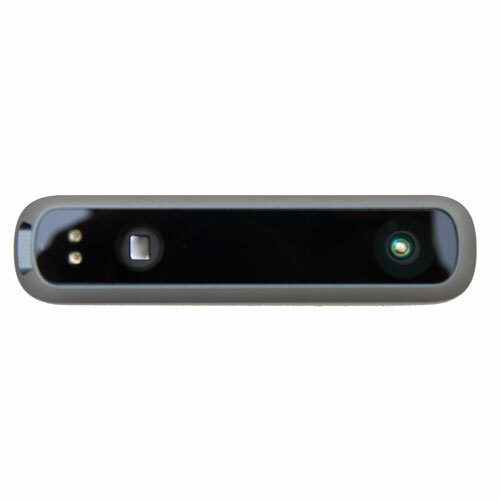 Camera for gesture control as well as face sensing. Can also remove the background without greenscreen and second as an ordinary webcam. 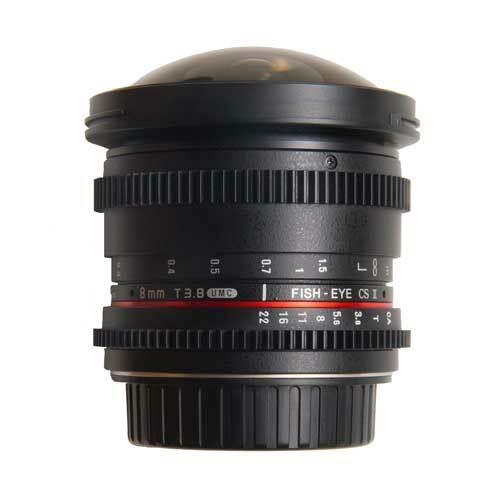 A fast wide angle lens with fisheye effect for Canon-EF Mount. 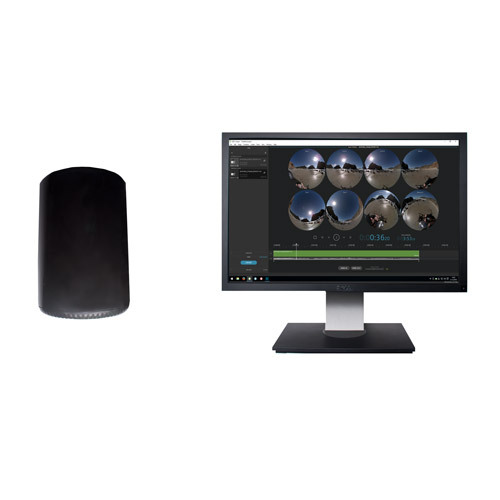 All you need to immerse your audience around the world with 360° live-streaming. 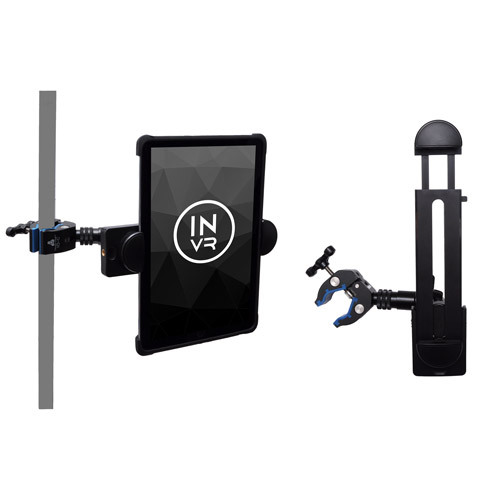 This workstation, combinig unipue choosen hardware in combination with Vahana software and matched camera rigs is a reliabel system for 360° live stitching. 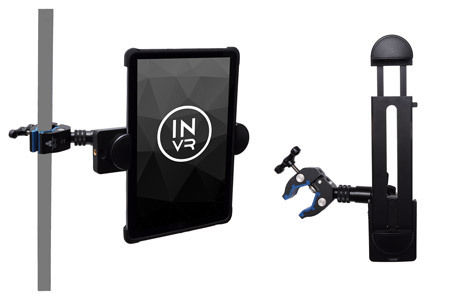 This rig is designend for usage on the co-driver seat. 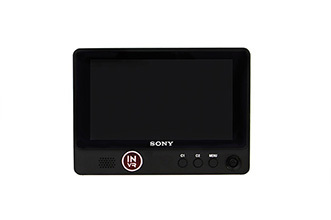 To get best results content inside and outside the car without worring about stitching artefacts. 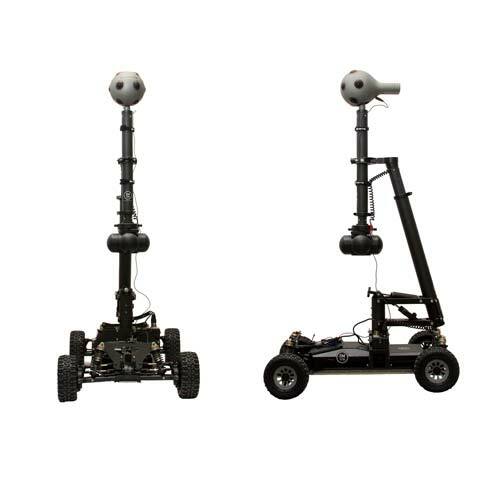 for special Car - rigging e.g. 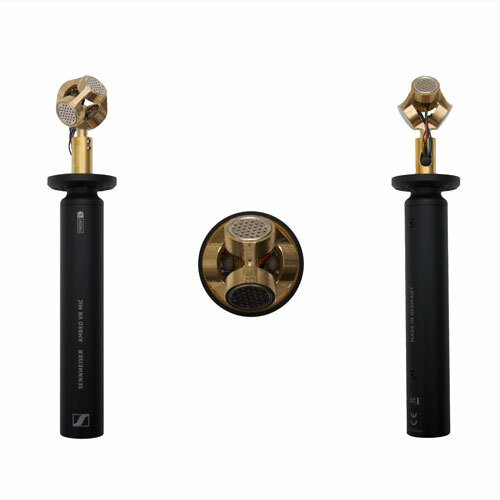 elimination of micro – vibrations please contact us. 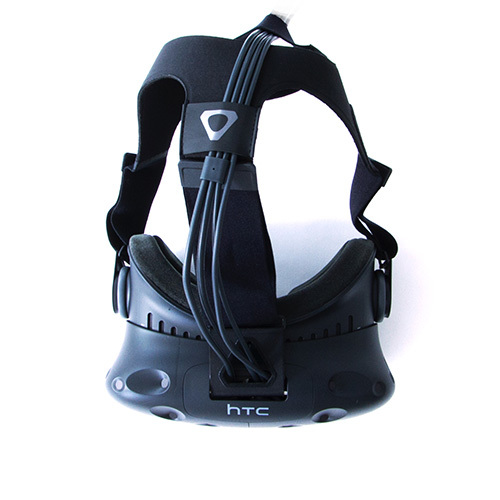 Want to avoid ugly skin-irritation when sharing the VR glasses with friends. 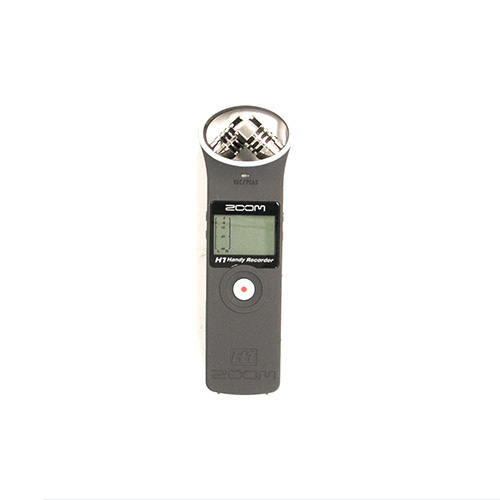 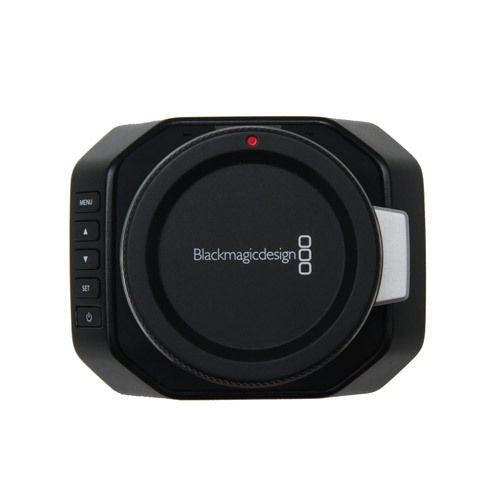 An ultra-compact sound recorder that can be placed almost everywhere. 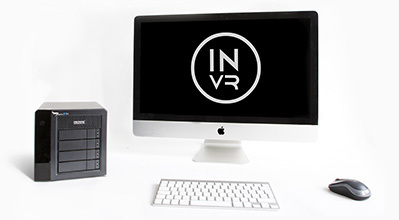 Massive data archiving on RAIDs and external HDDs blocks your pipeline easily. 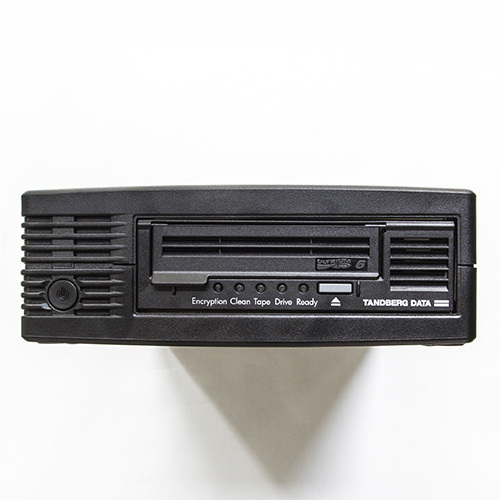 Get old data out of your way and write it to LTO tapes. 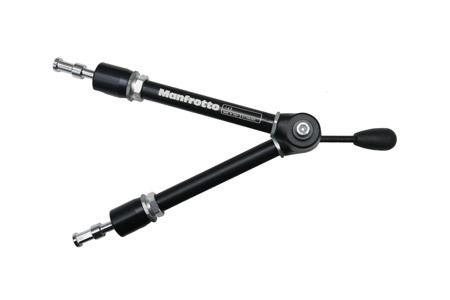 Can hold your camera safe in places where ordinary tripods fail. 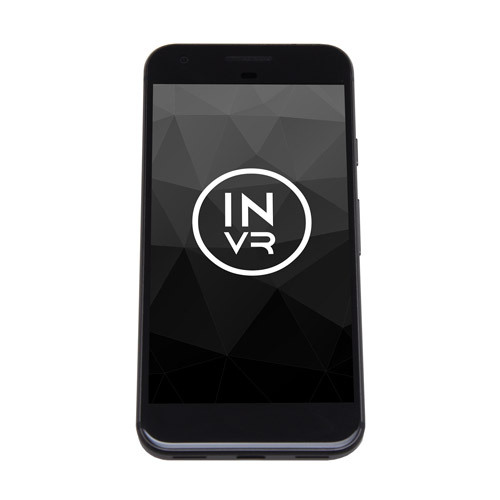 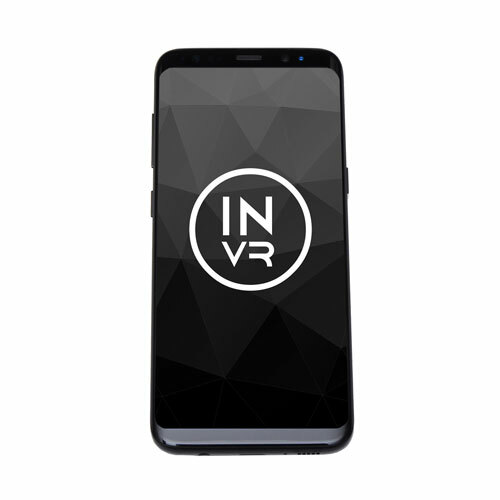 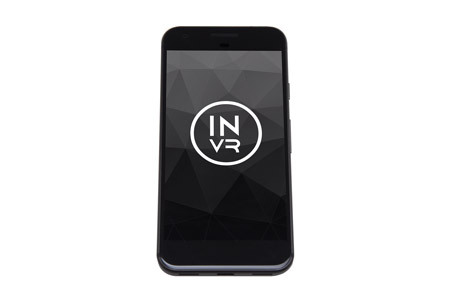 Secure the mobile phones in confusing situations without taking the joy of a free and immersive experience for the audience. 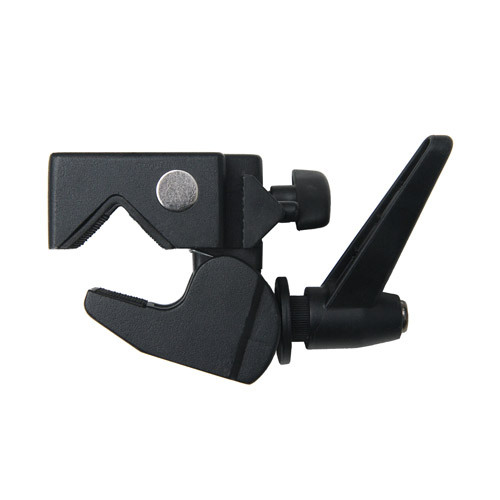 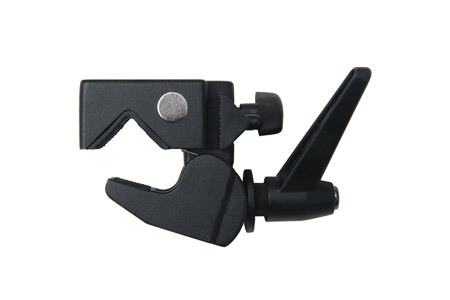 Super clamp to rig your camera onto e.g. 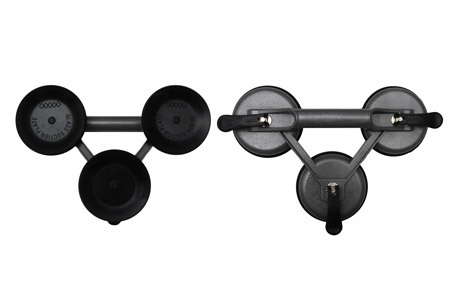 pipes or put up a backdrop. 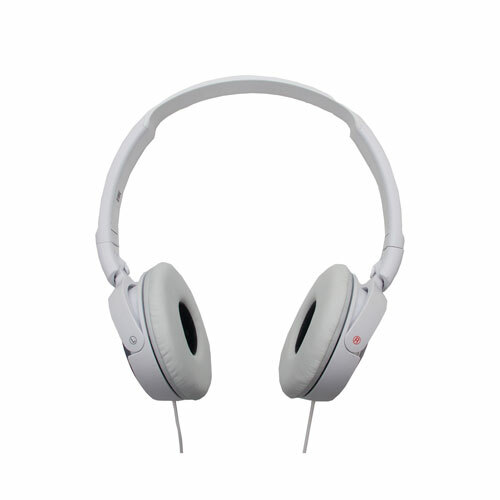 Comfortable on-ear headphones with great sound in white. 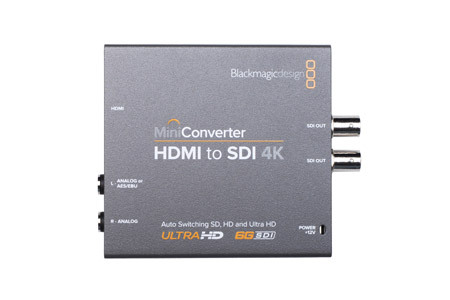 Simply input and output your video – on set or in postproduction – HDMI and HD – SDI – Up to 4K. 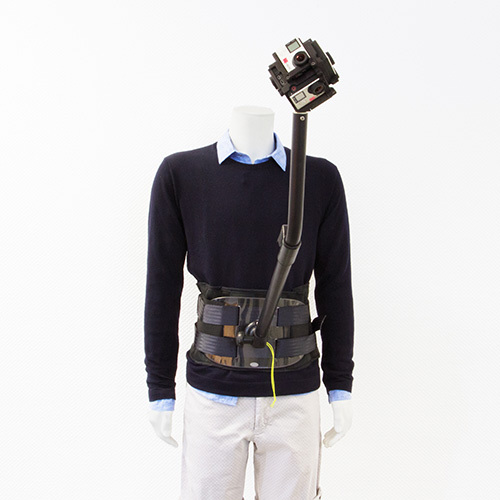 A very cost-efficient way to get 360° previews stitched on Set. 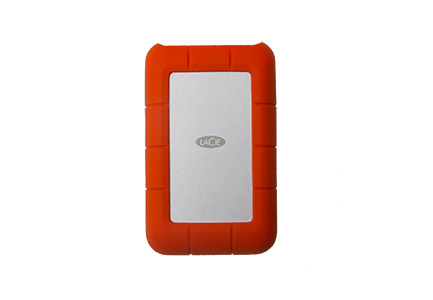 Enough hard drive - space included for files of approx. 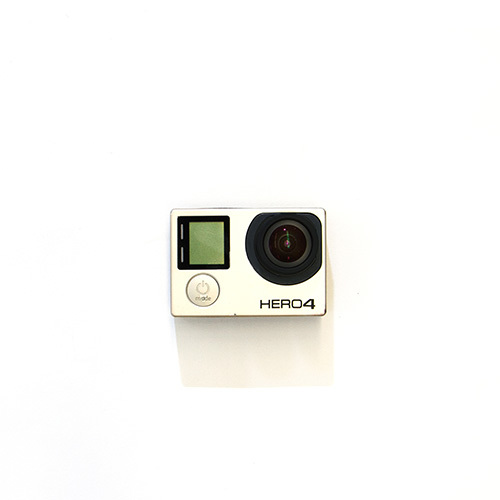 one shooting day. 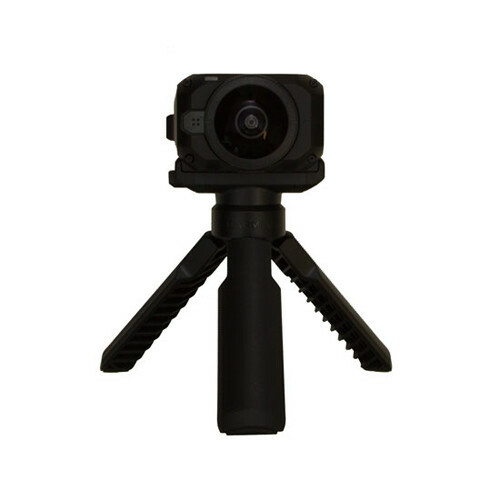 Versatile way to adjust the camera position. 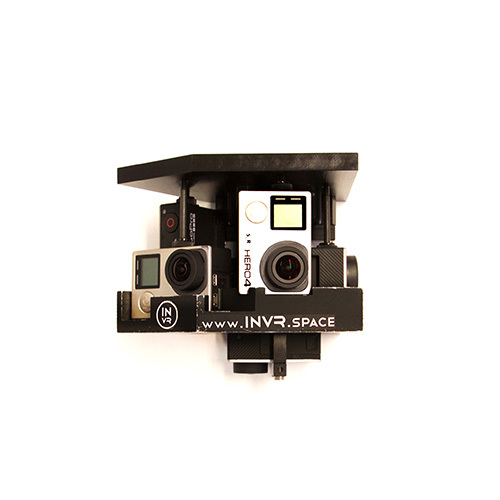 Power your GoPro Omni Rig with a V-Mount. 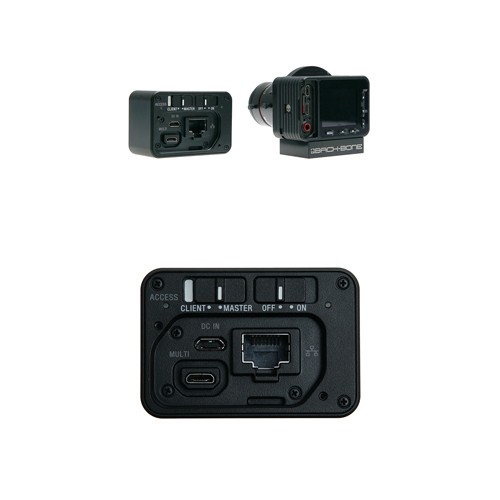 Handy way to check footage on set. 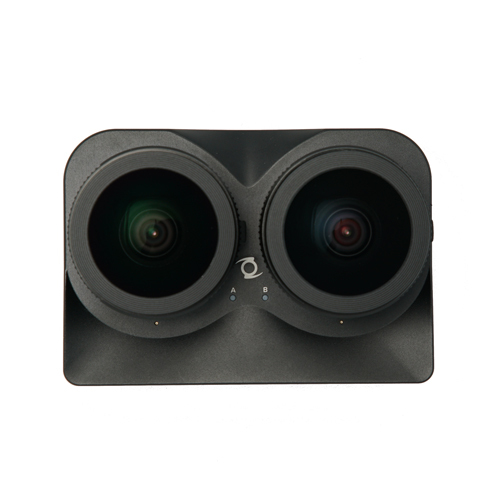 Best solution for triggering more than one camera at once. 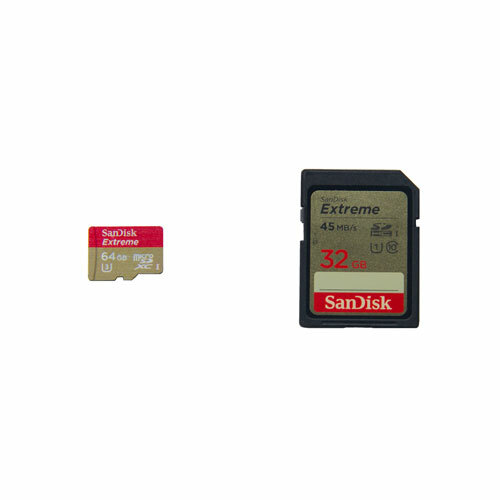 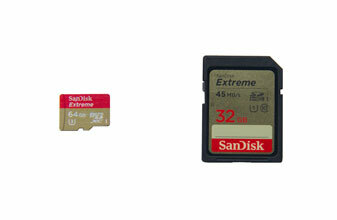 SD and microSD cards available in 32, 64 and 128 GB. 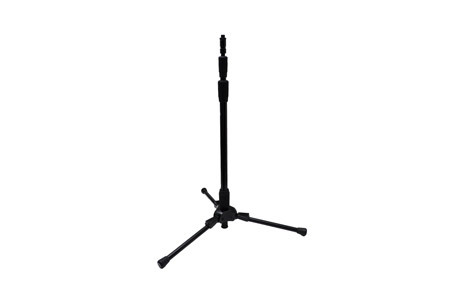 Heavy but adds stability and safety to your stand. 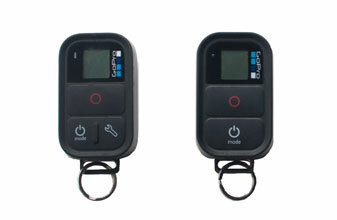 Easy to use and absolutely mobile.